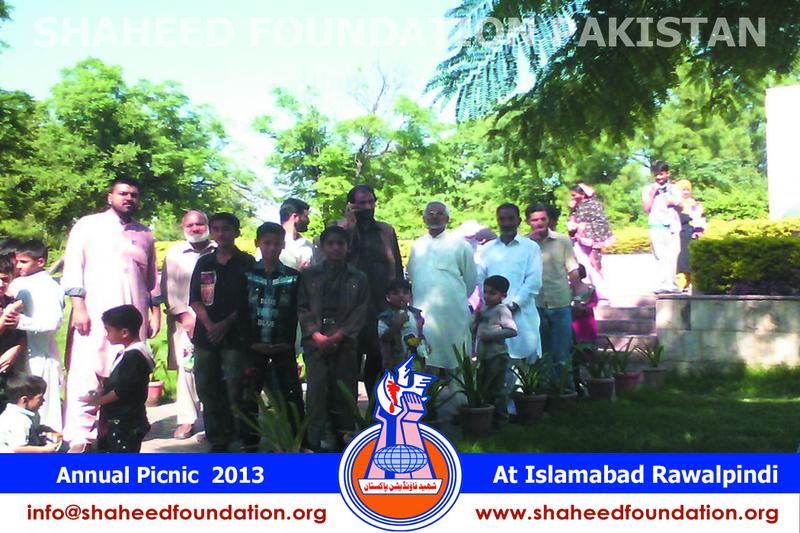 Annual Picnic was arranged for the families of beloved martyrs of Millat-e-Jaffaria Pakistan [Rawalpindi-Islamabad ] region on Sunday 20th October 2013 ,on the solemn occasion of Eid-ul-Adha days and visit to different recreational points were managed by the working members of Shaheed Foundation Pakistan .Central Committee member was also present on the occasion to oversee the entire arrangements. 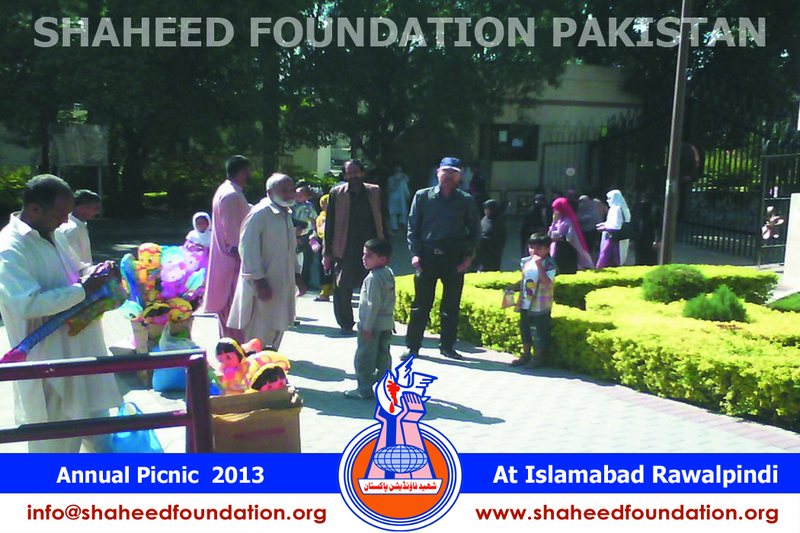 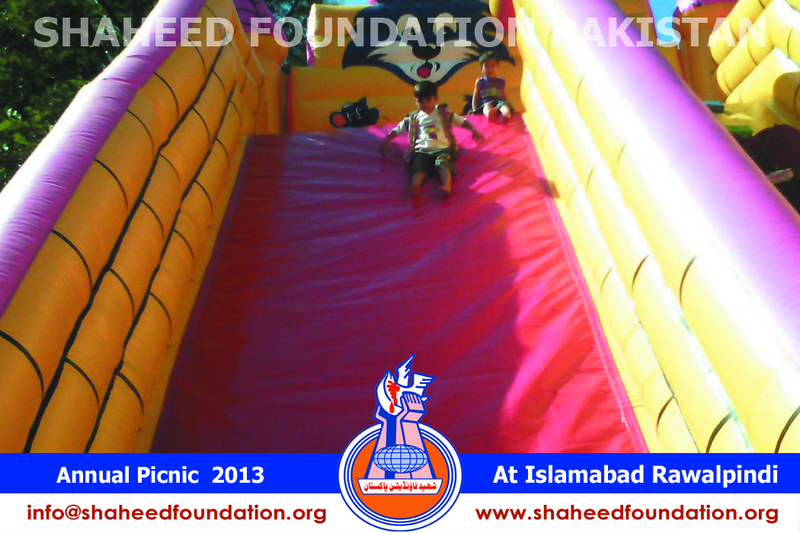 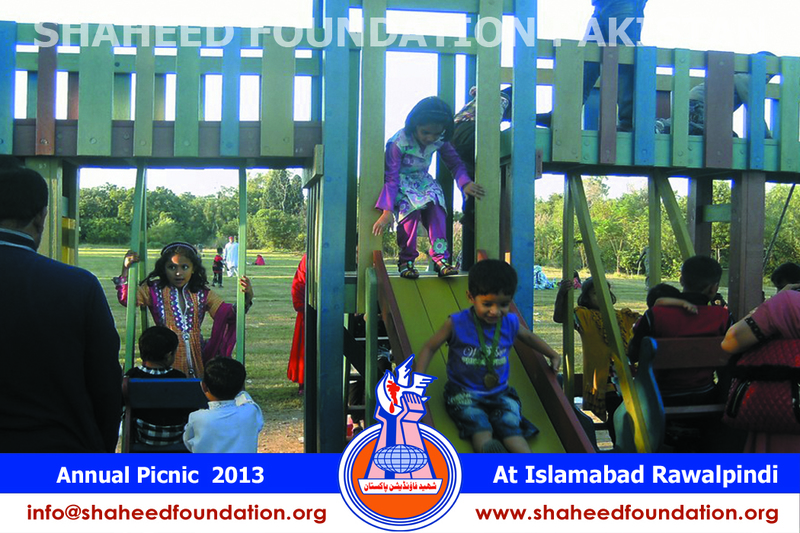 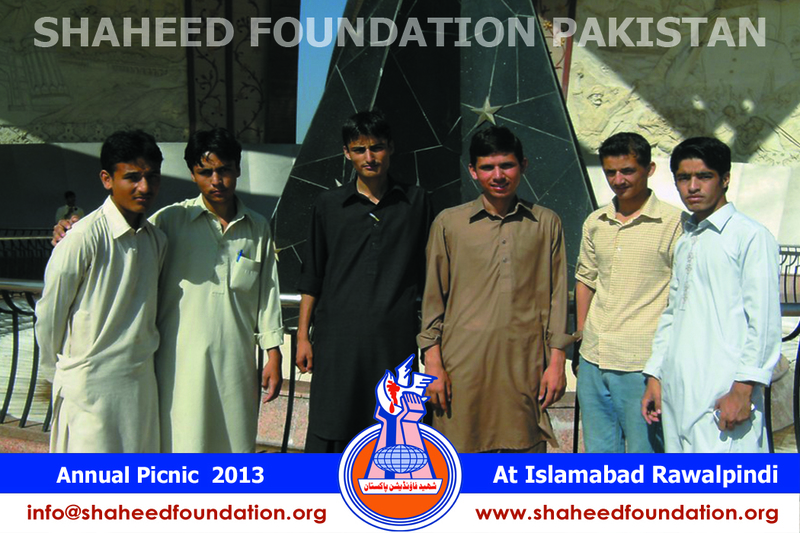 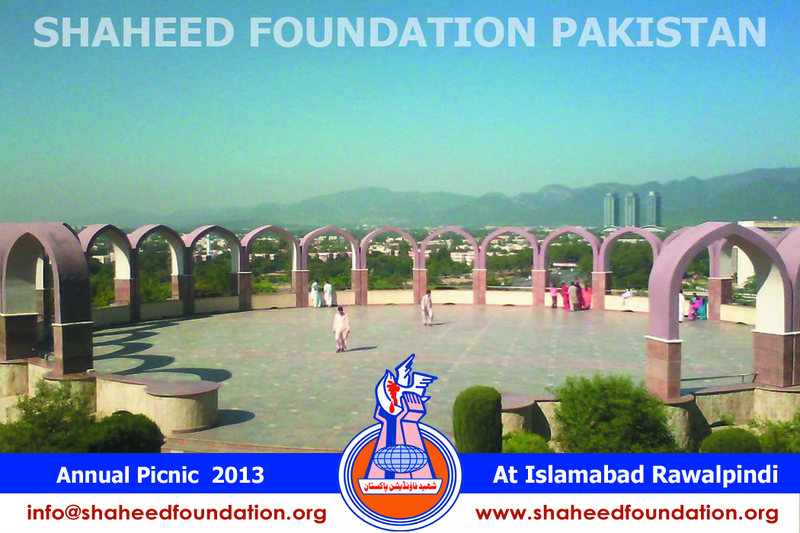 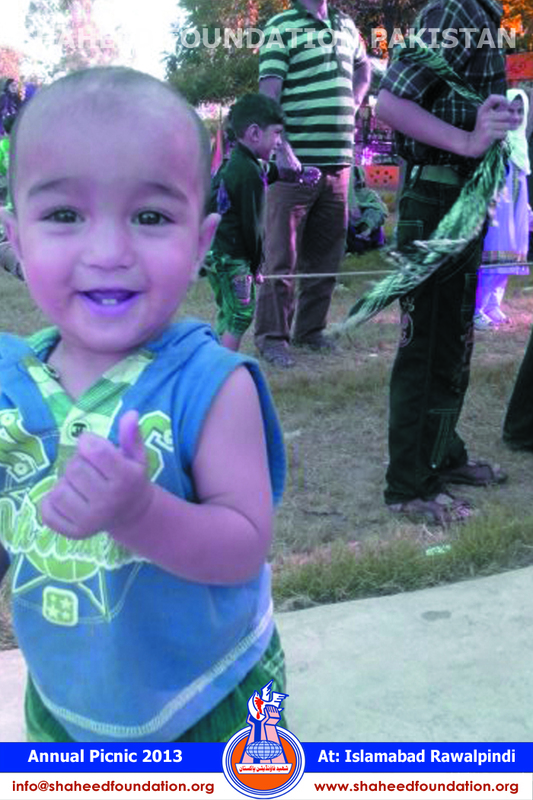 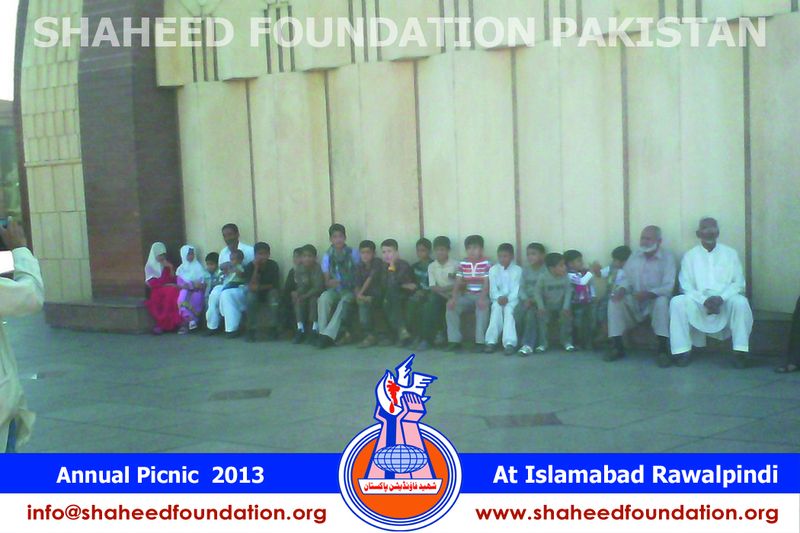 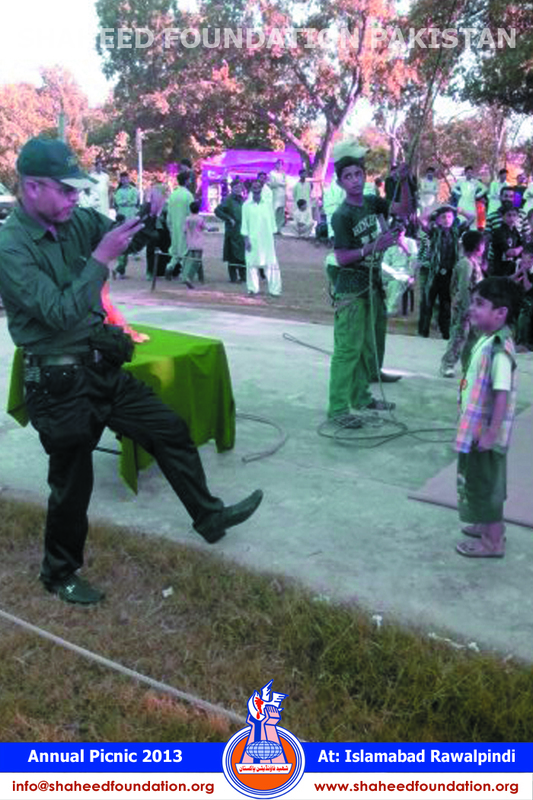 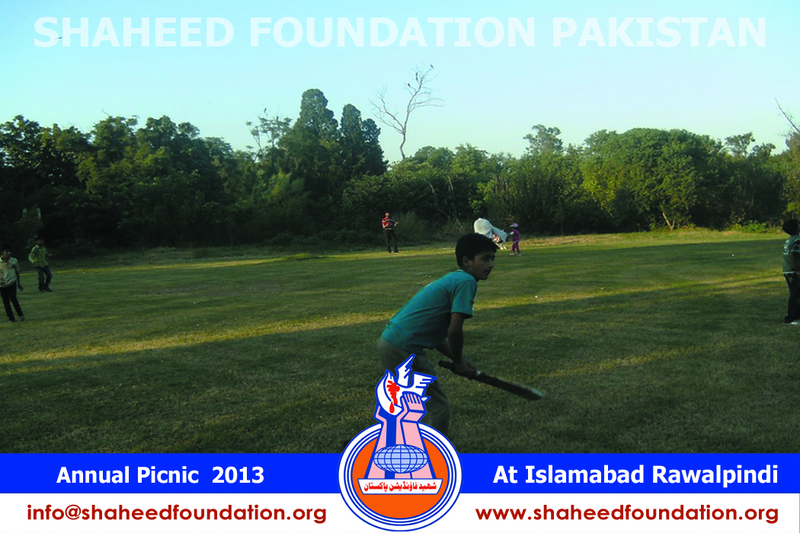 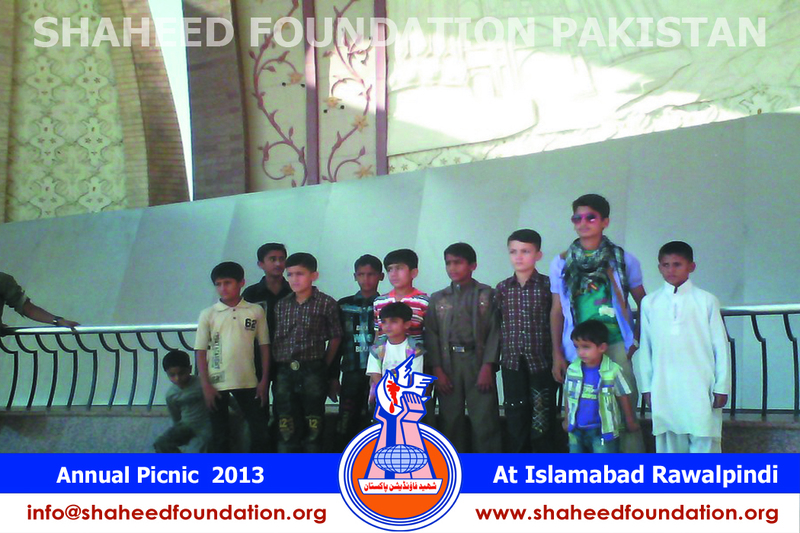 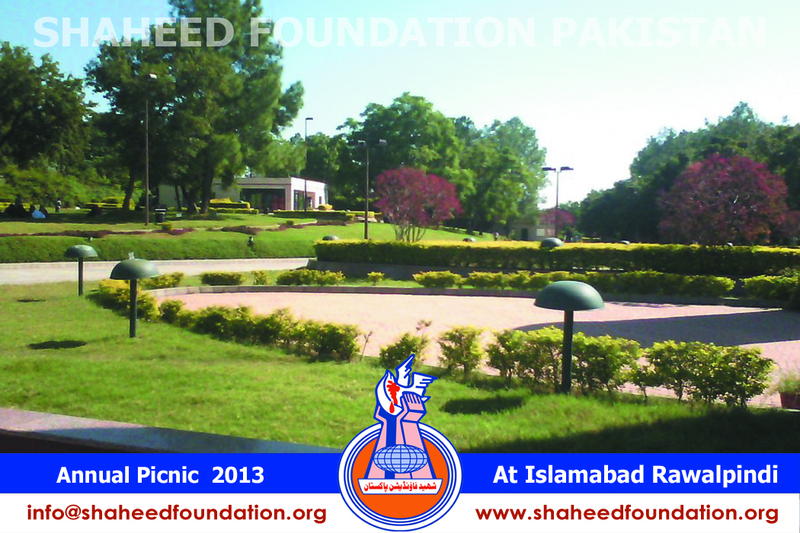 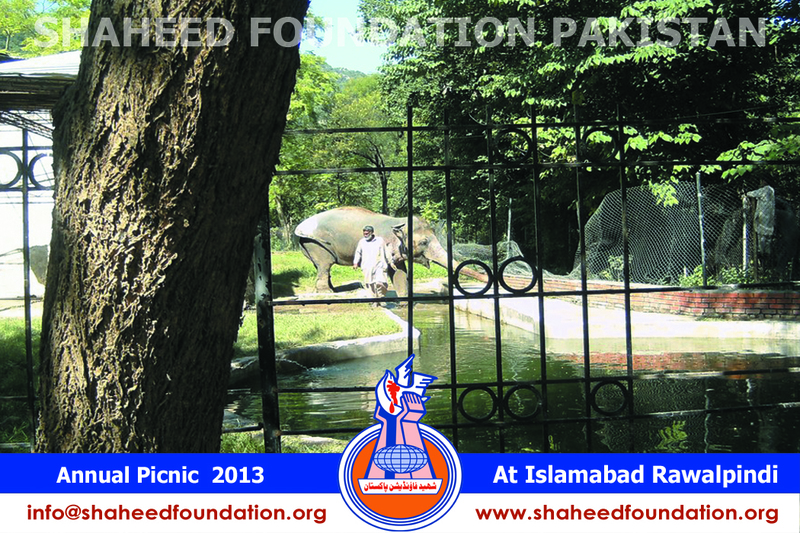 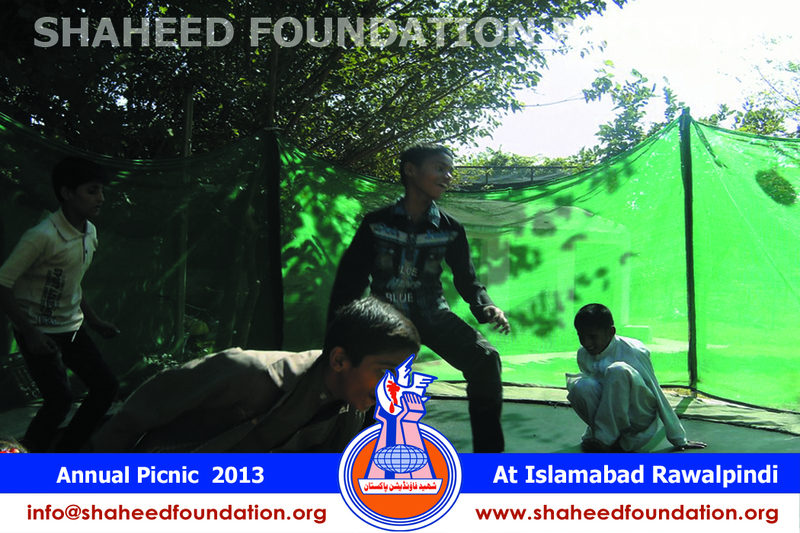 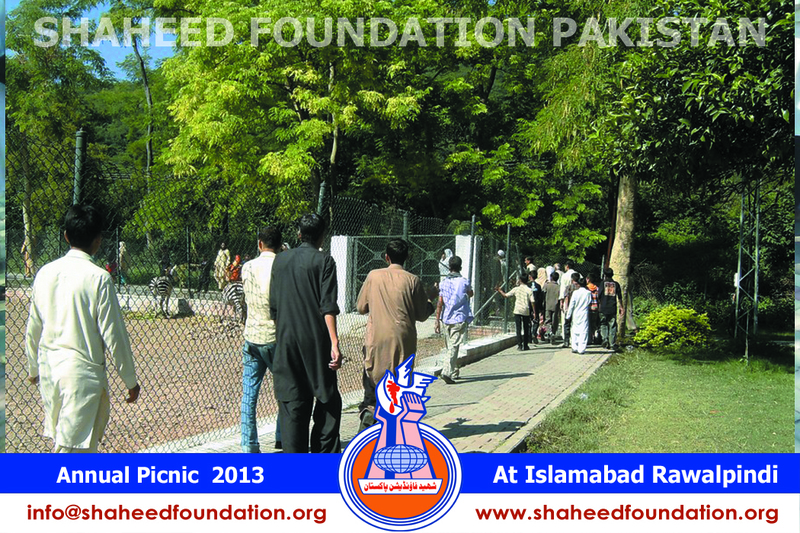 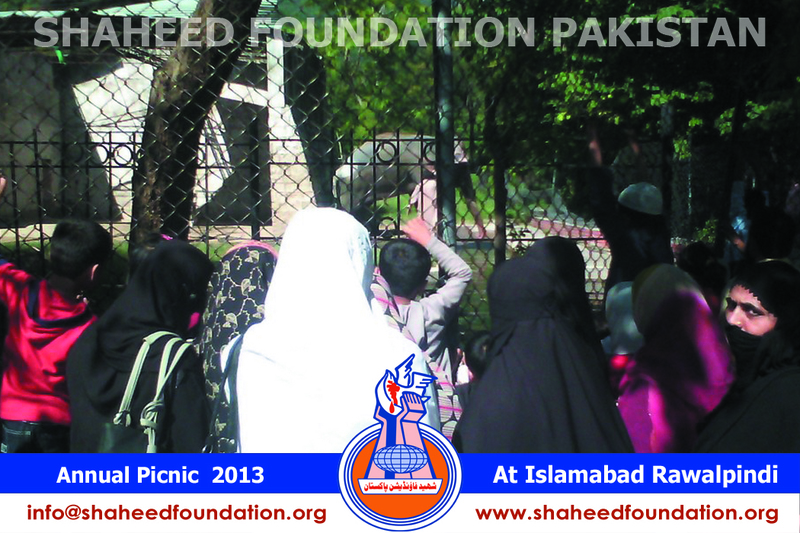 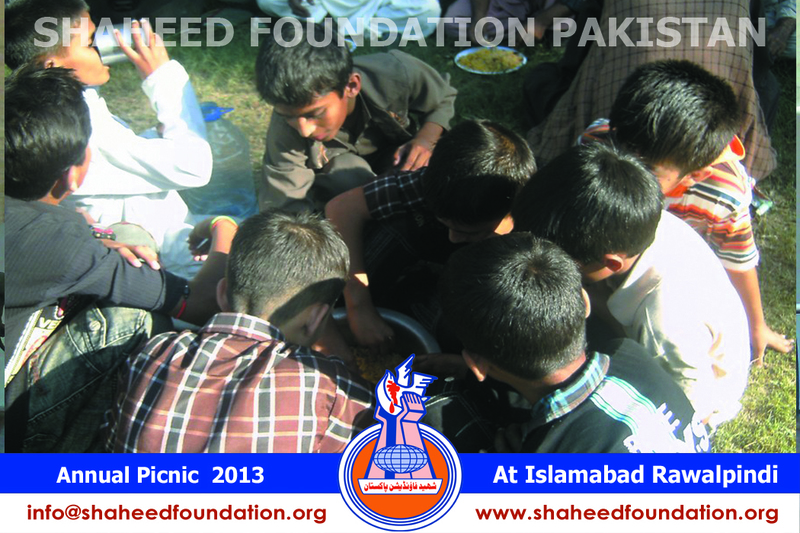 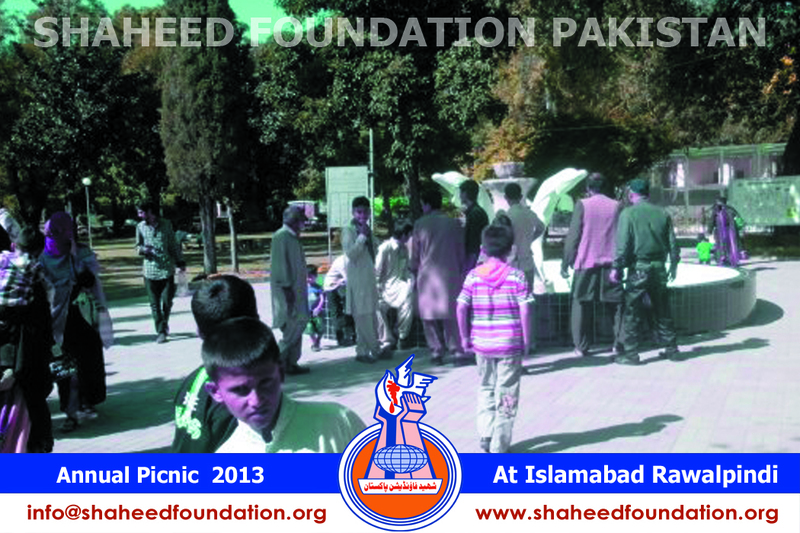 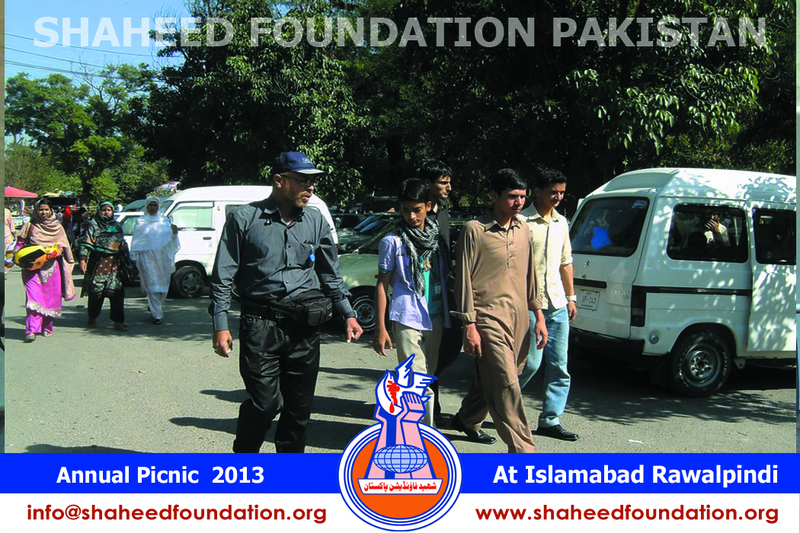 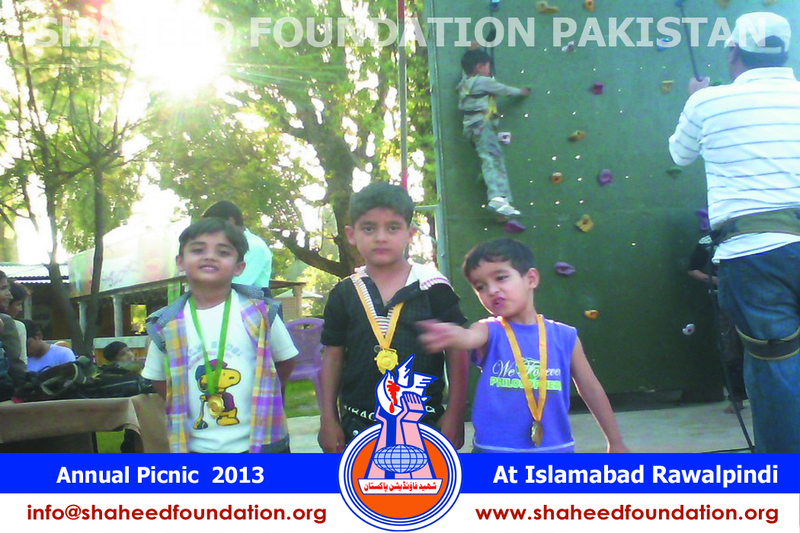 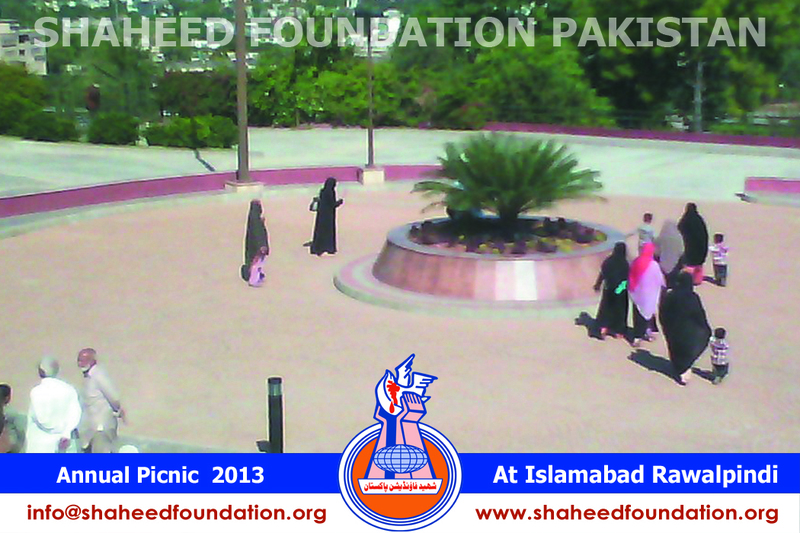 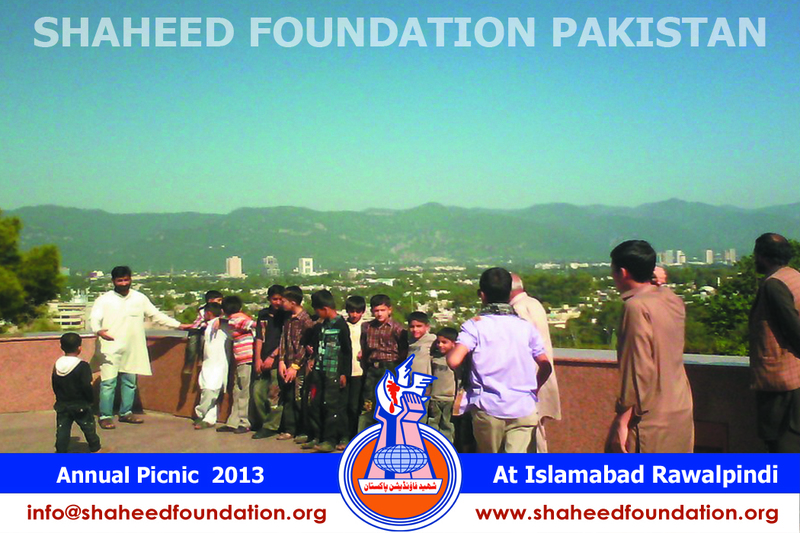 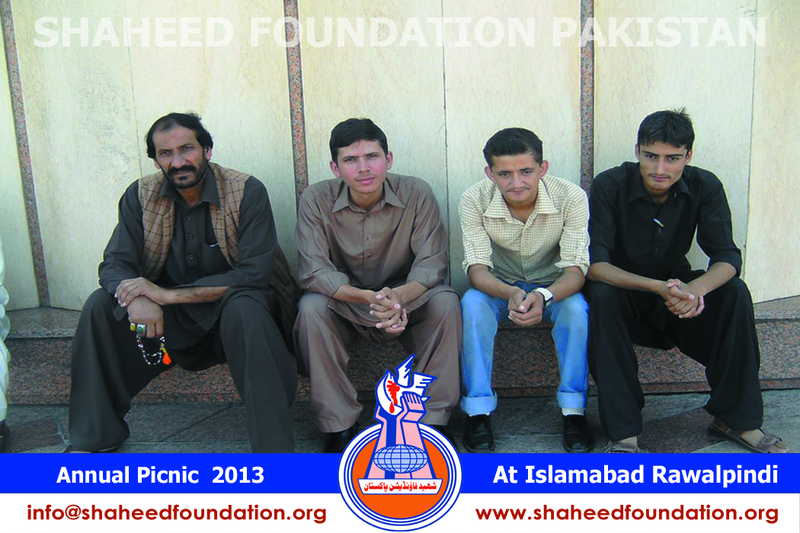 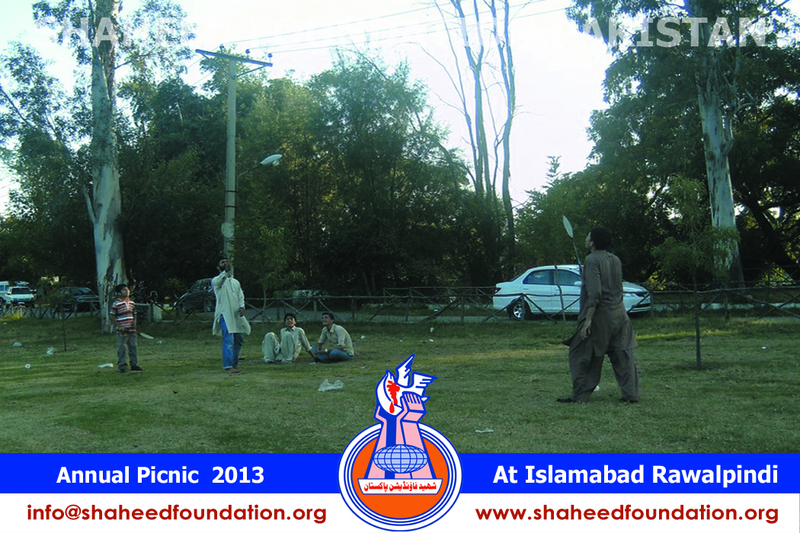 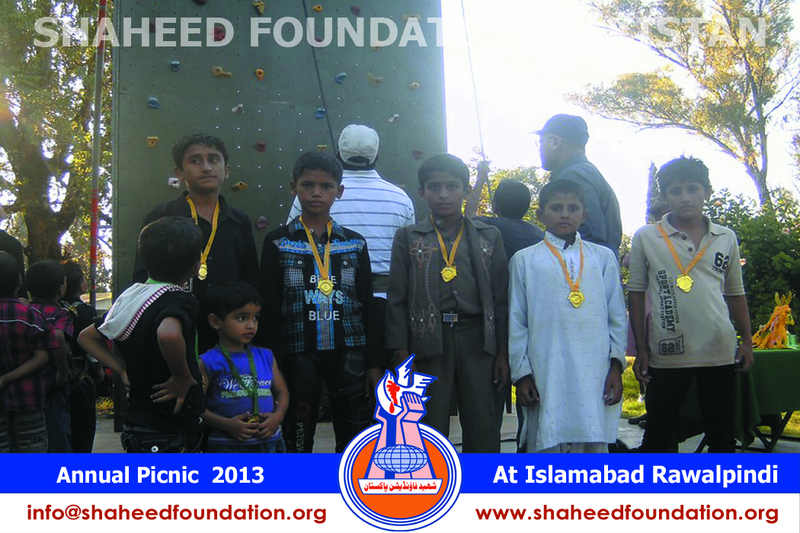 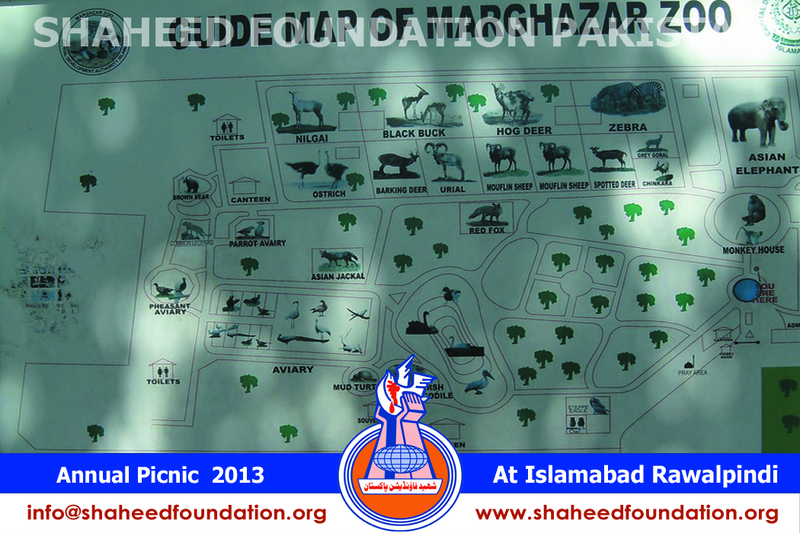 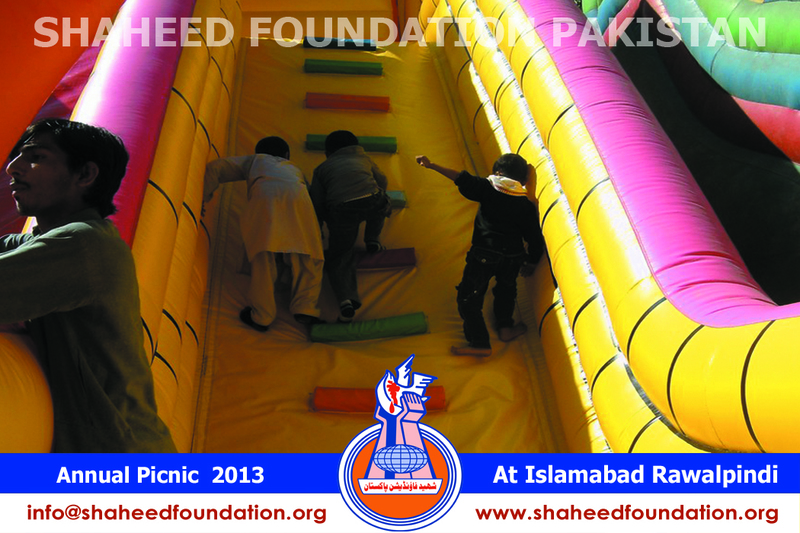 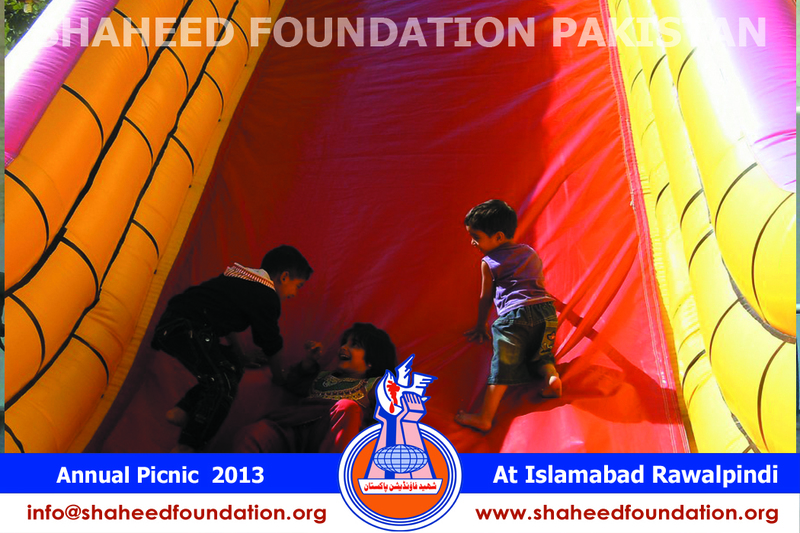 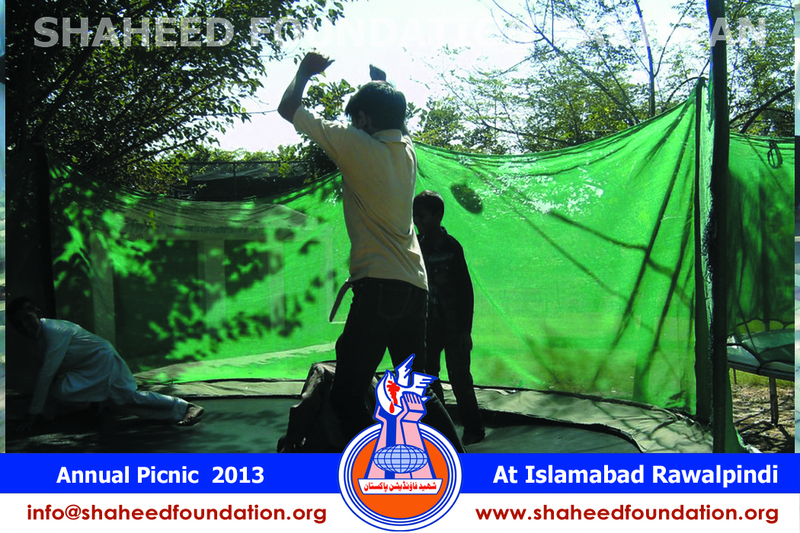 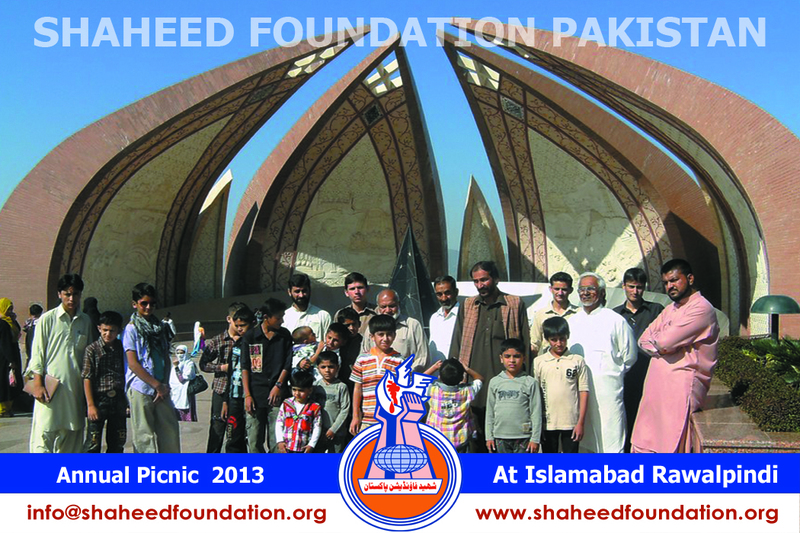 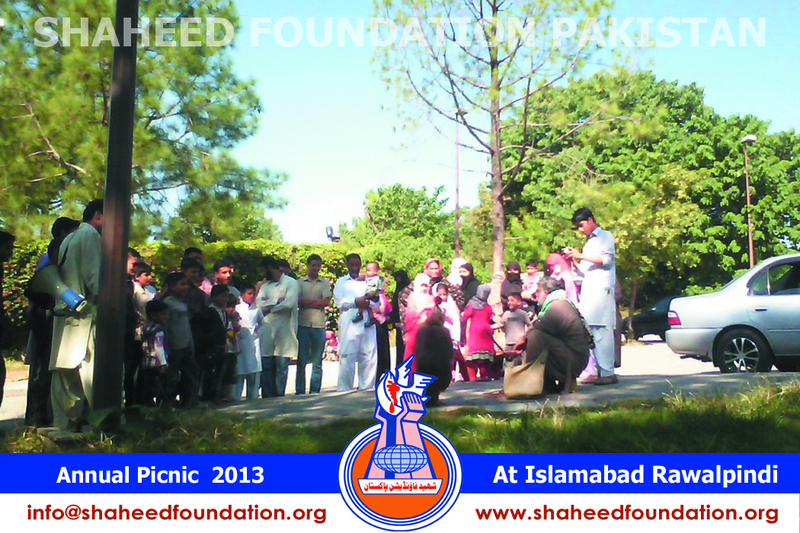 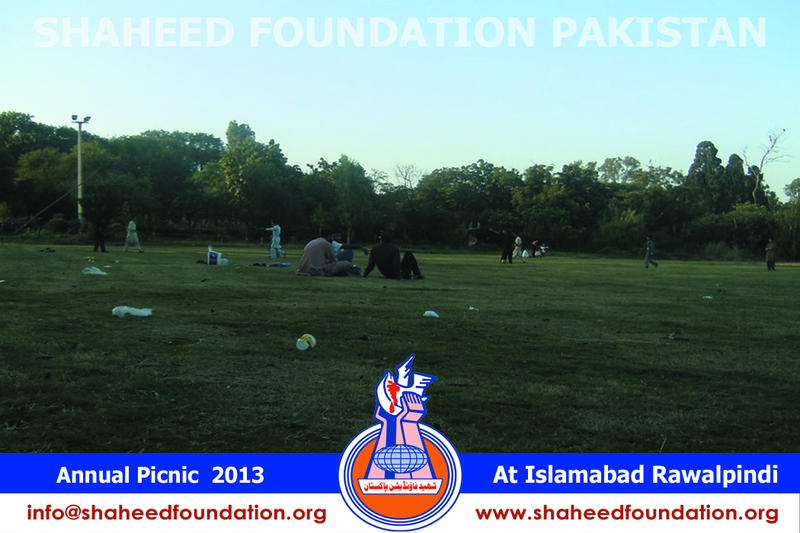 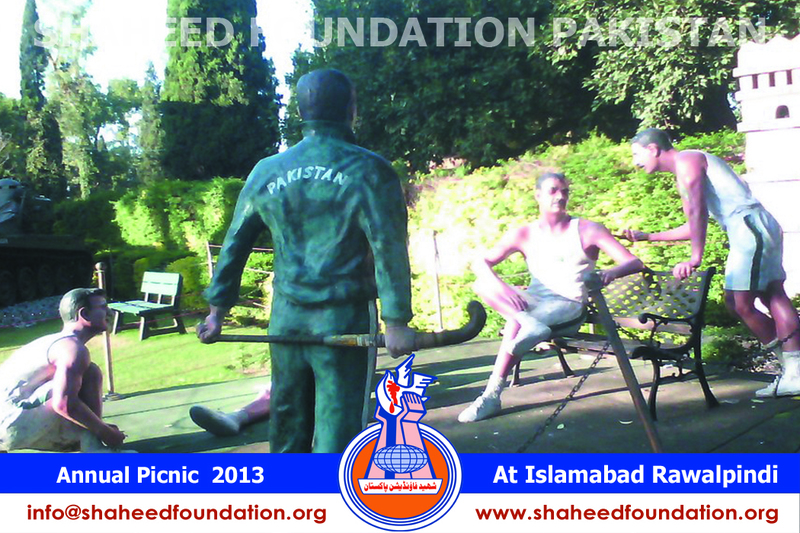 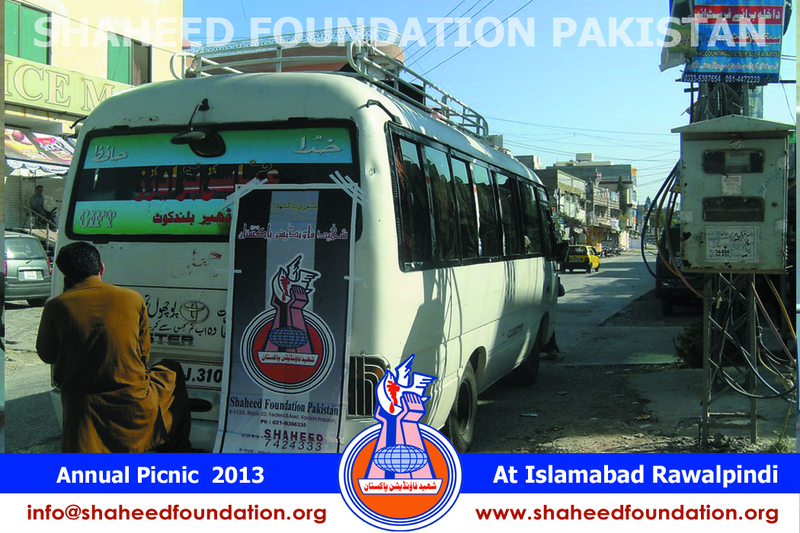 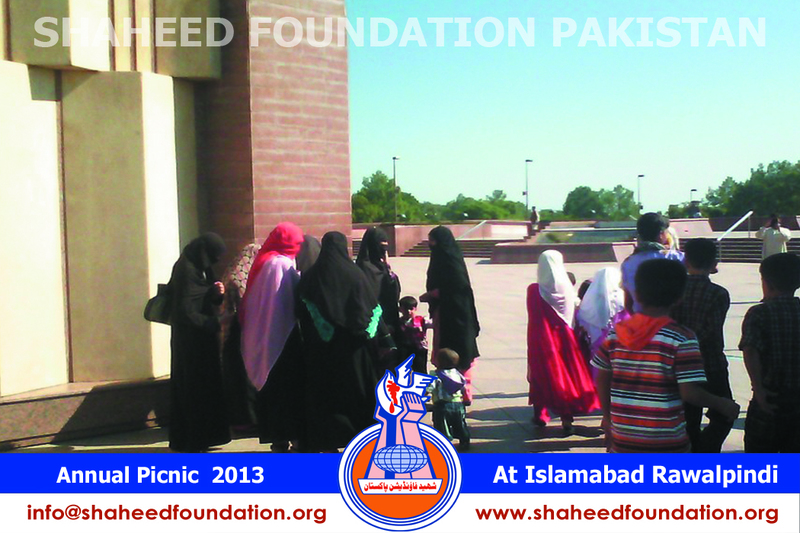 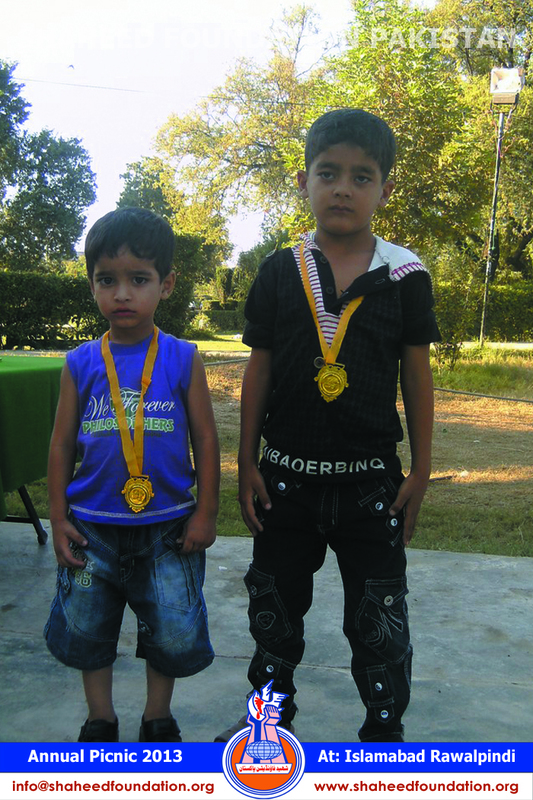 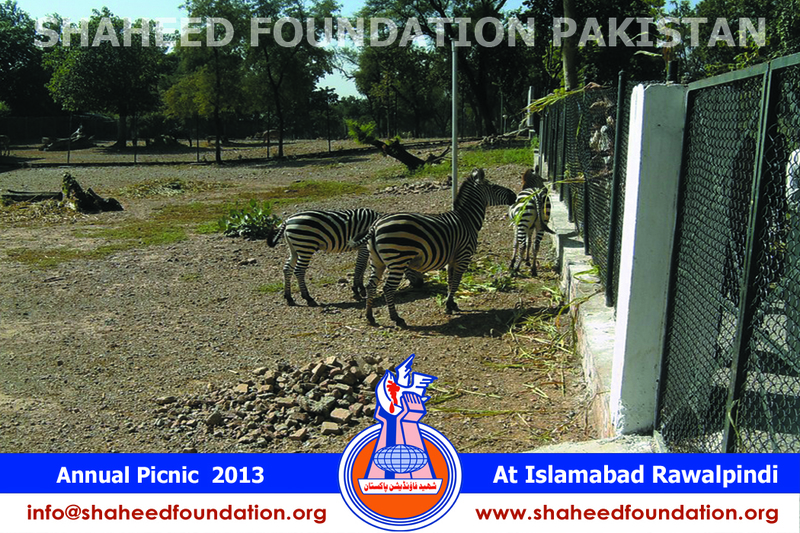 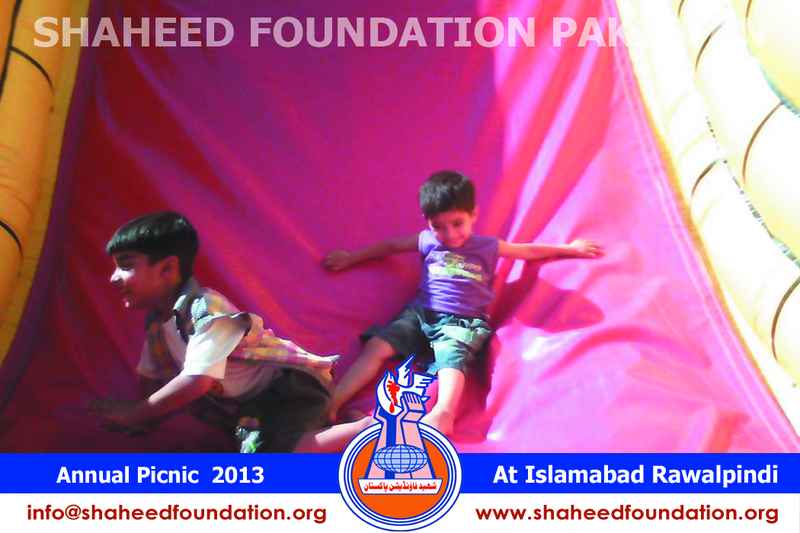 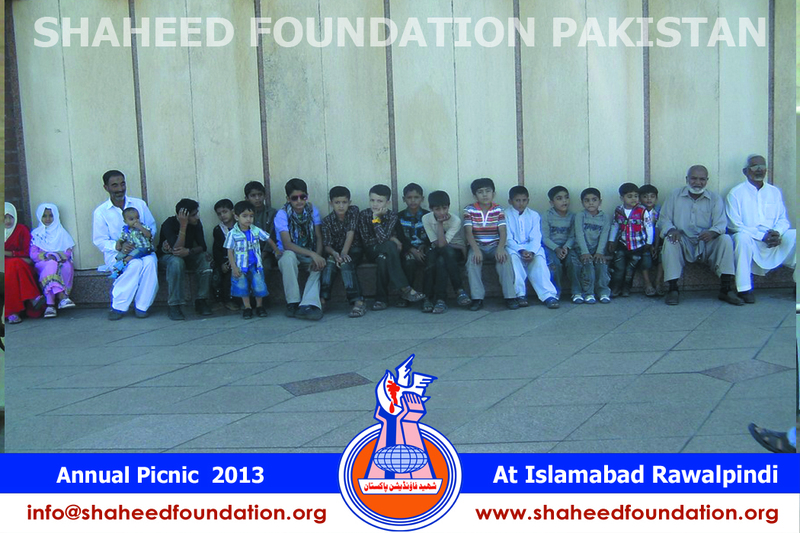 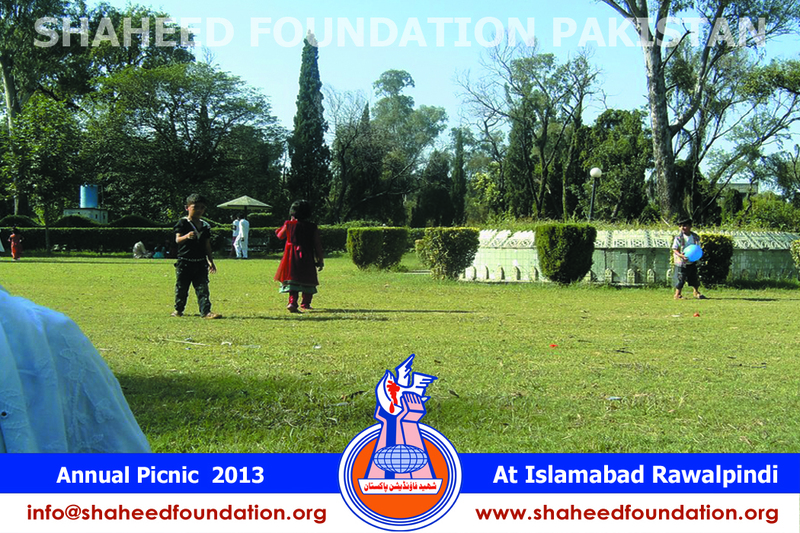 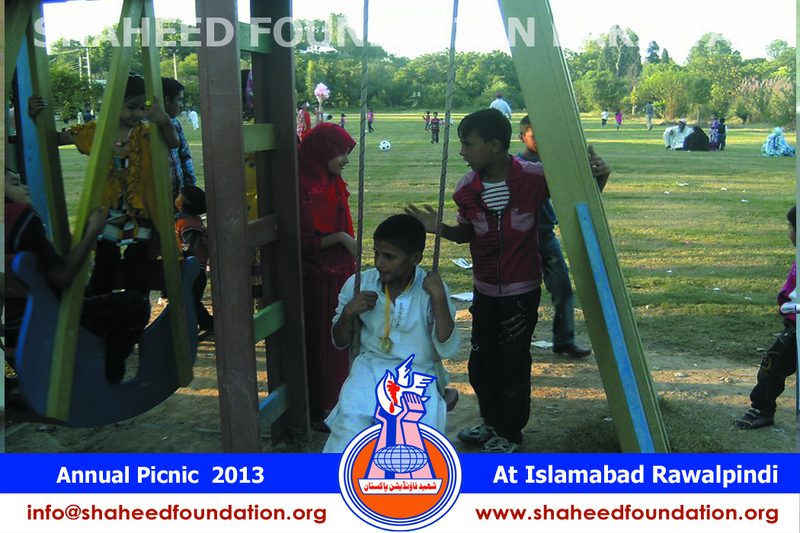 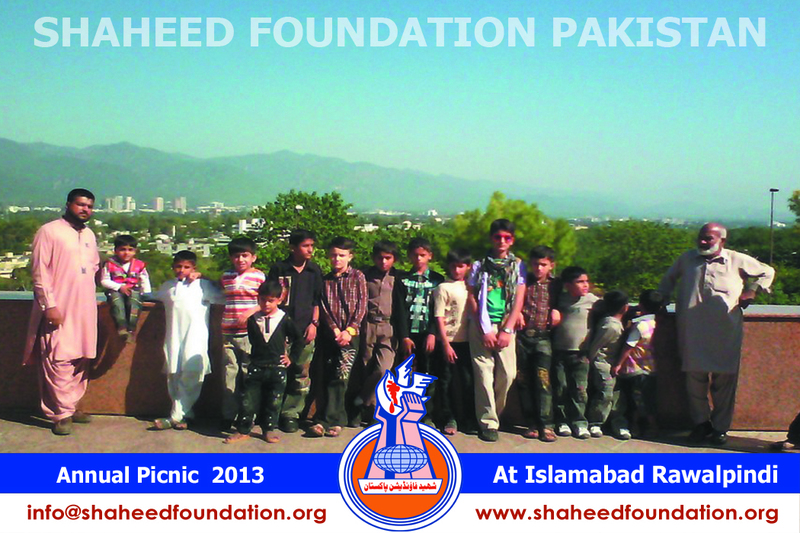 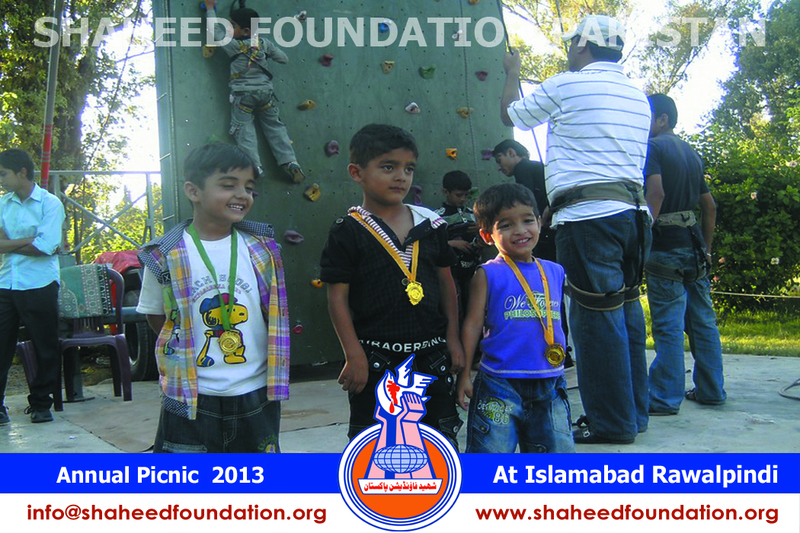 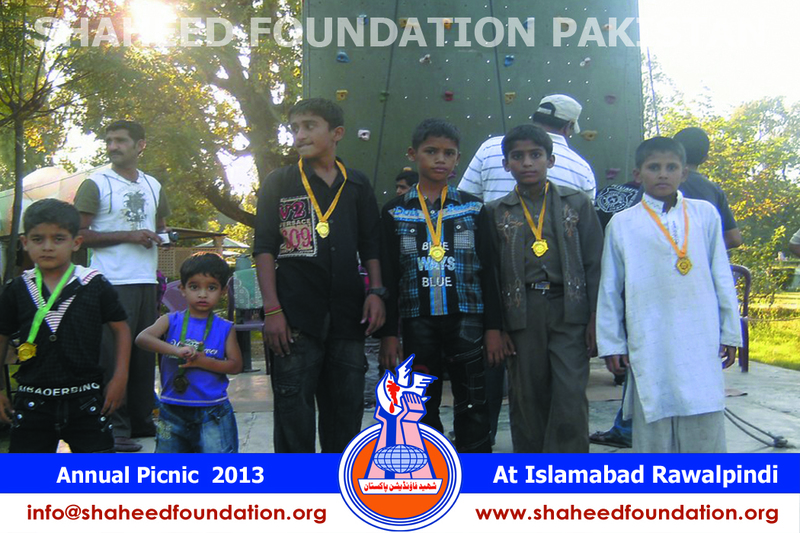 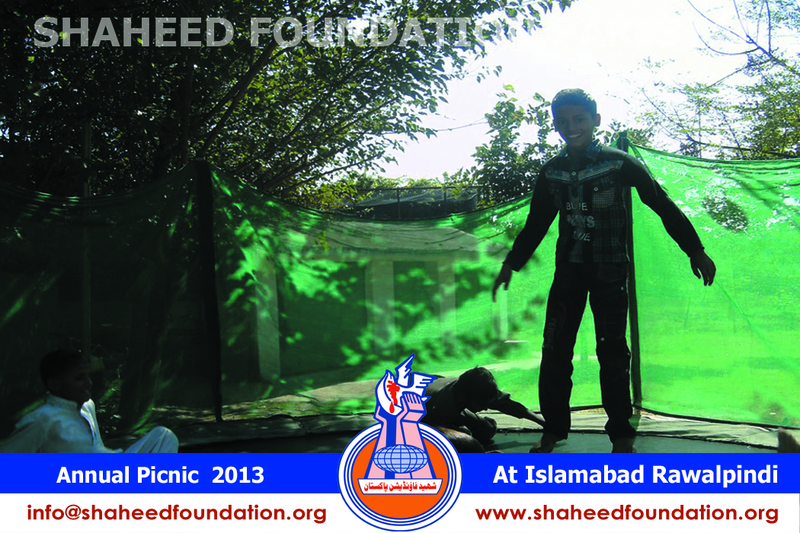 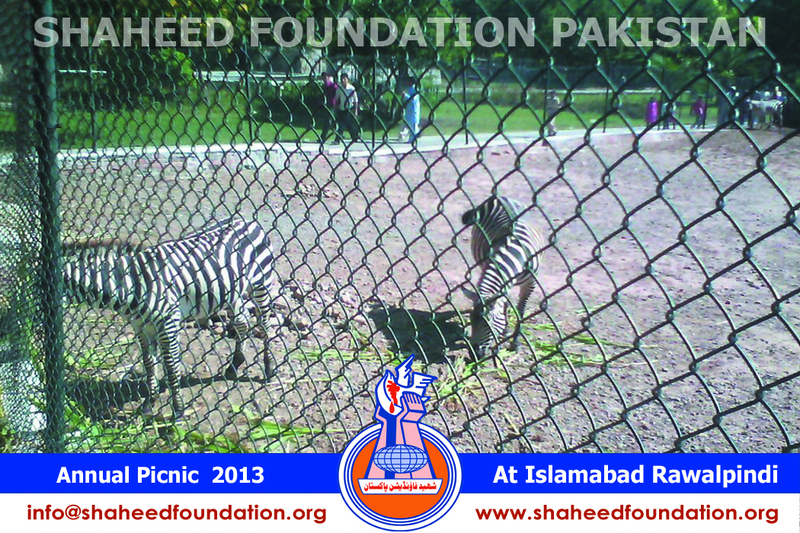 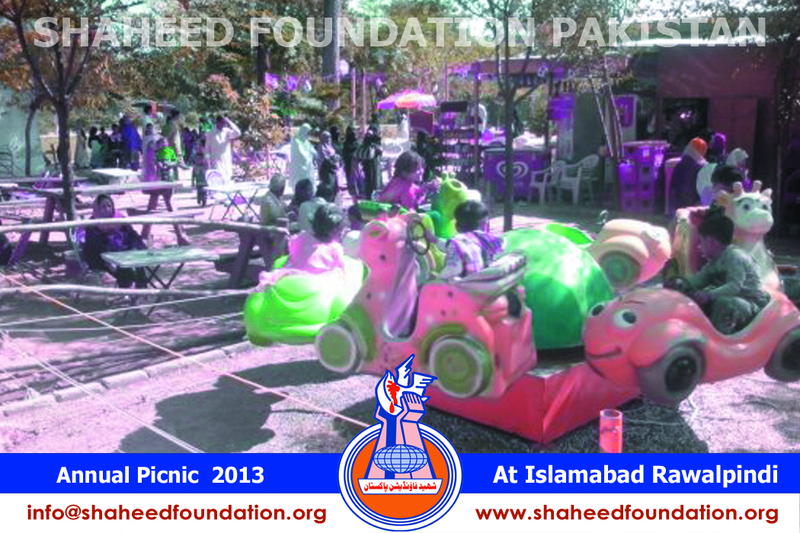 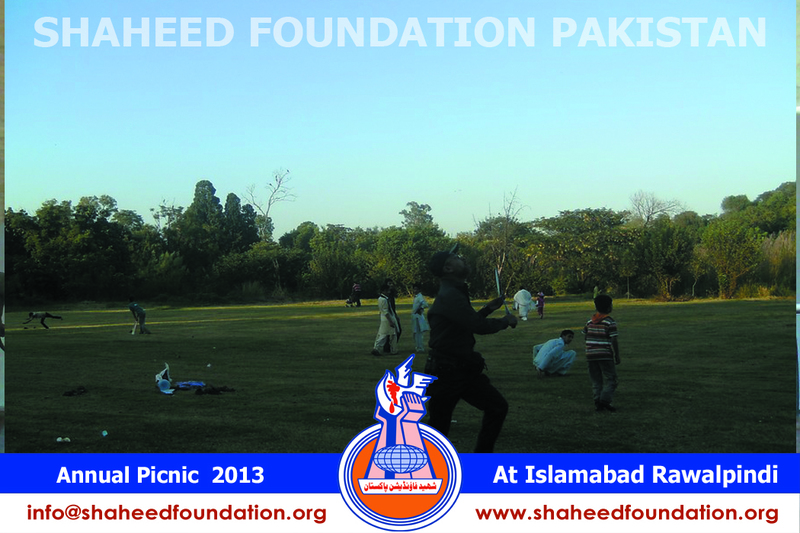 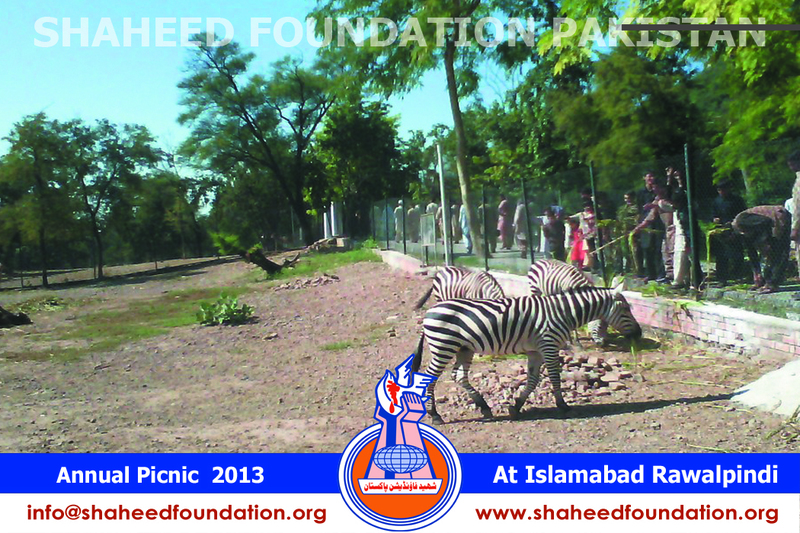 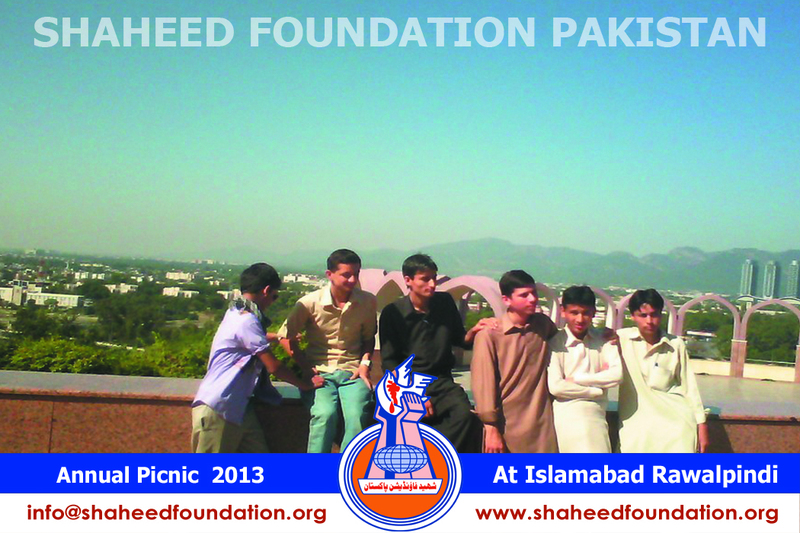 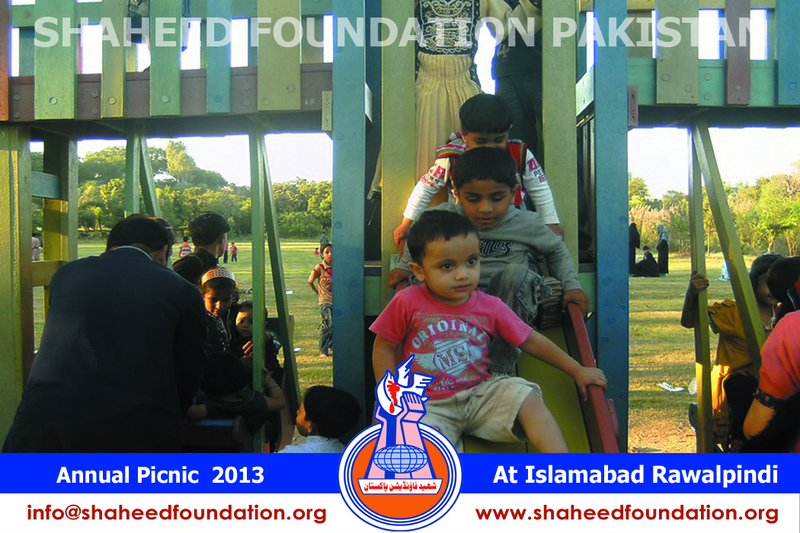 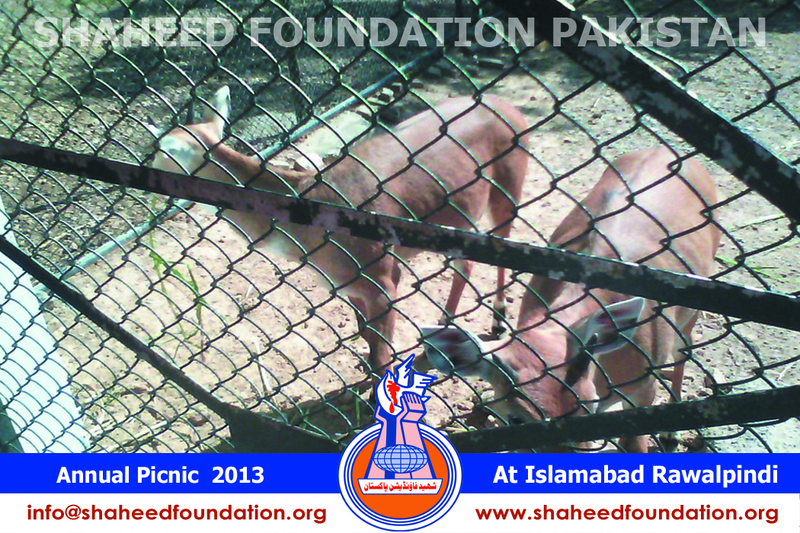 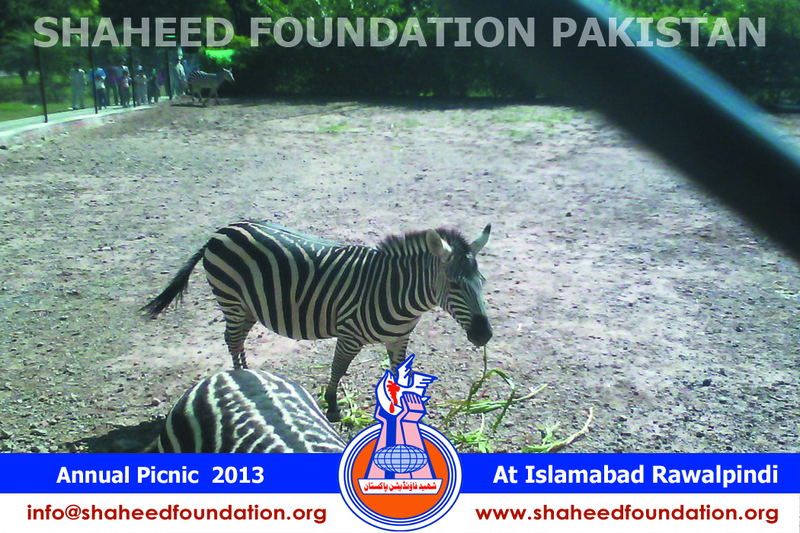 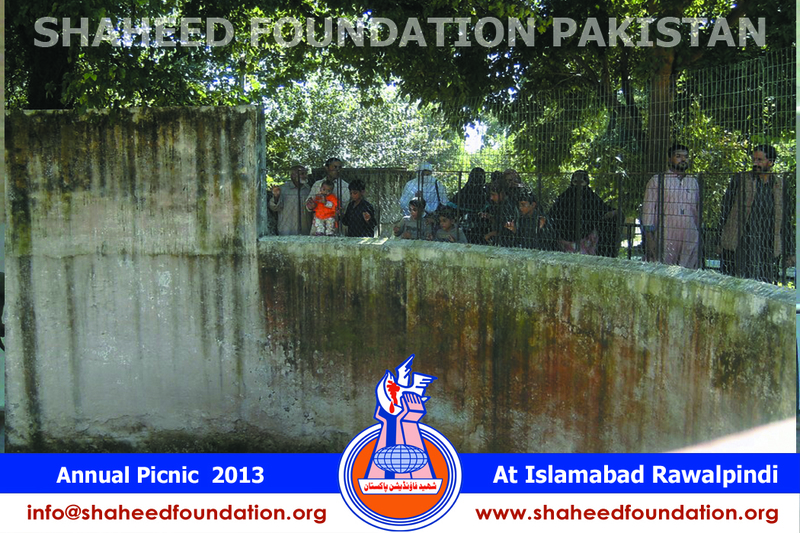 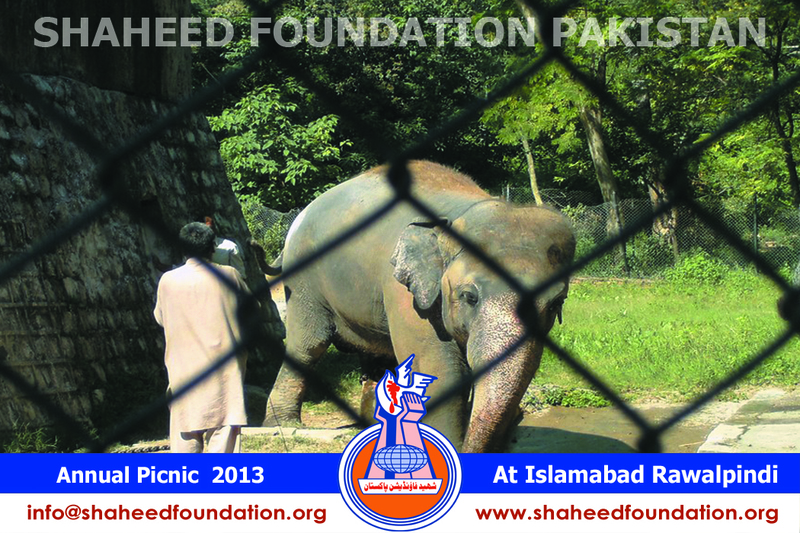 As part of Shaheed Foundation Pakistan's concerted efforts to bring relief and comprehensive services to the families of martyrs for their overall wellbeing and development, picnics and healthy entertainment programs are conceived every year across Pakistan for families of martyrs of different regions. 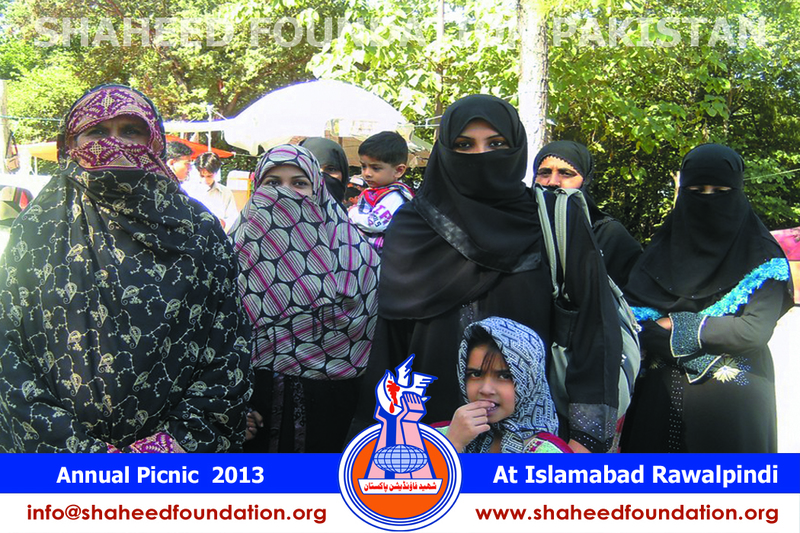 In line with the same spirit in different regions , the picnic was arranged in the federal capital Islamabad and the twin city of Rawalpindi for the Khanwada-e-Shohada-e-Millat-e-Jaffaria Pakistan. 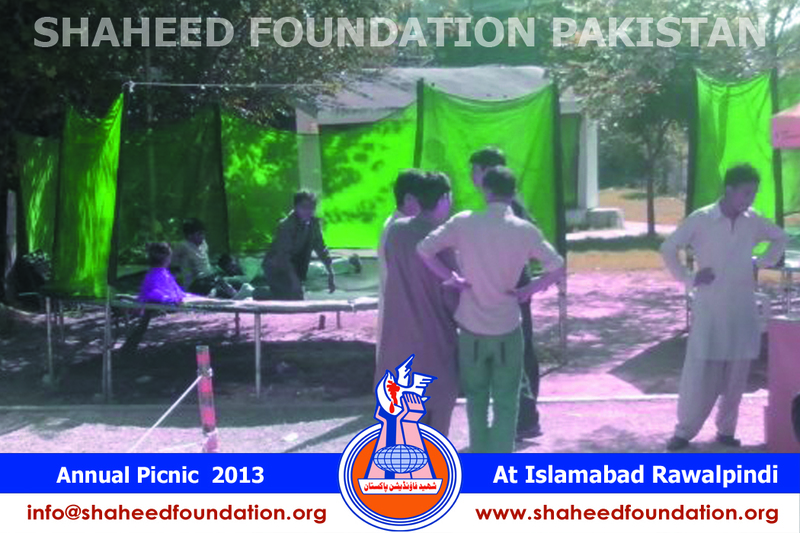 Earlier , picnics were held in July 2013 for Khanwada-e-Shohada-e-Millat-e-Jaffaria Pakistan [Sindh] as well as more recently for Khanwada-e-Shohada-e-Millat-e-Jaffaria Pakistan [Punjab] and Khanwada-e-Shohada-e-Millat-e-Jaffaria Pakistan [Khyber Pakhtun Khwah] . 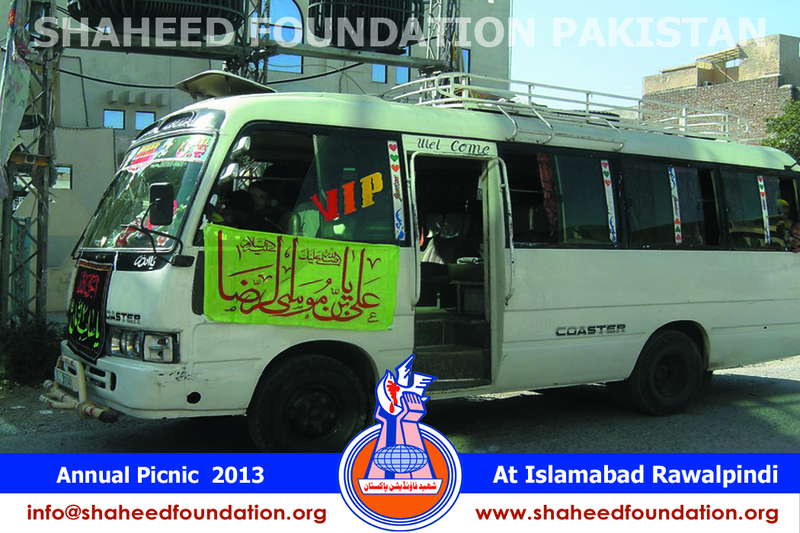 The families began to converge on the designated point at around 730 am in the morning and were served a sumptuous breakfast .From there on the caravan consisting of children and families of martyrs and working brothers of Shaheed Foundation Pakistan left on bus . 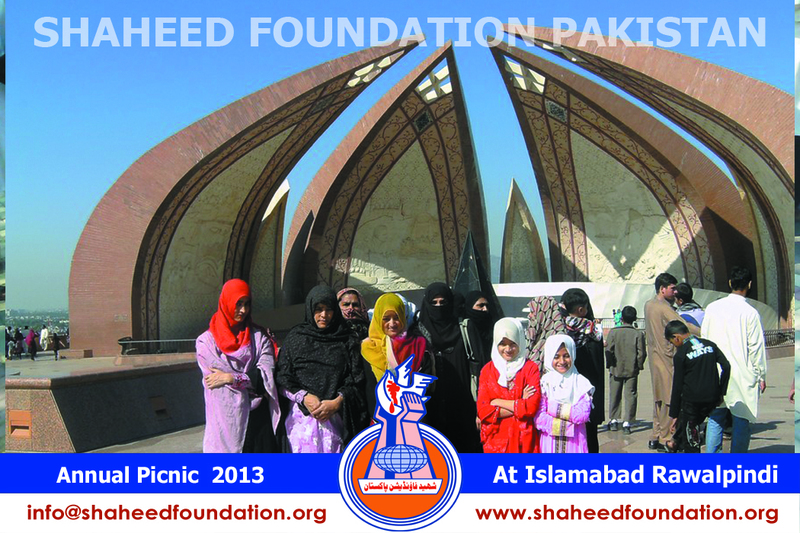 The first destination was Pakistan Monument amid the scenic Shakarparian heights hanging on the outskirts of the federal capital. 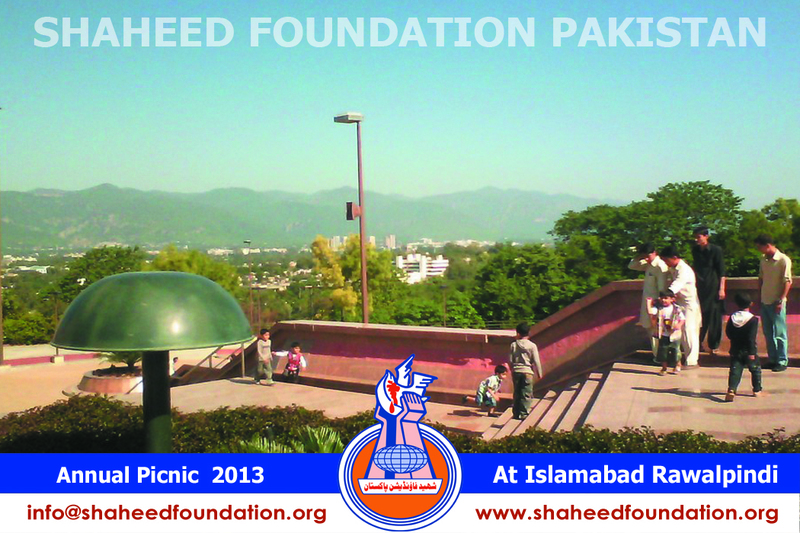 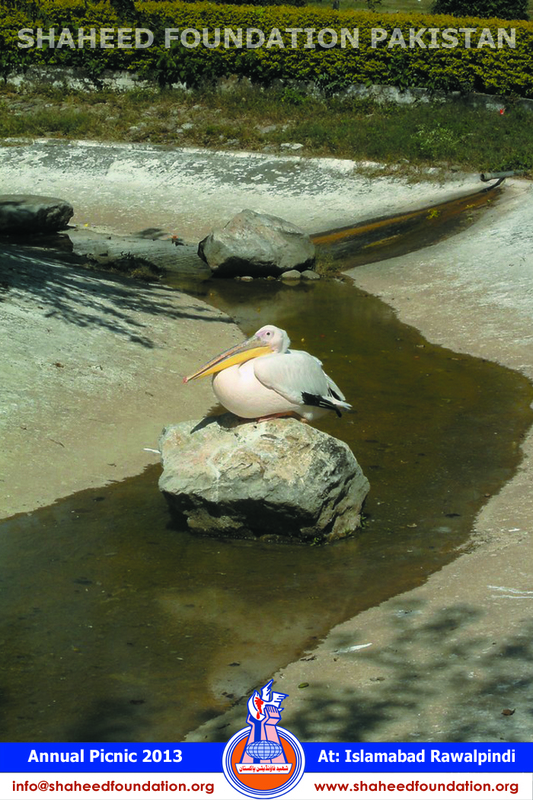 The place is a lovely site which has been built on a significant height from where the entire Islamabad and Rawalpindi's panoramic view is a treat to watch. 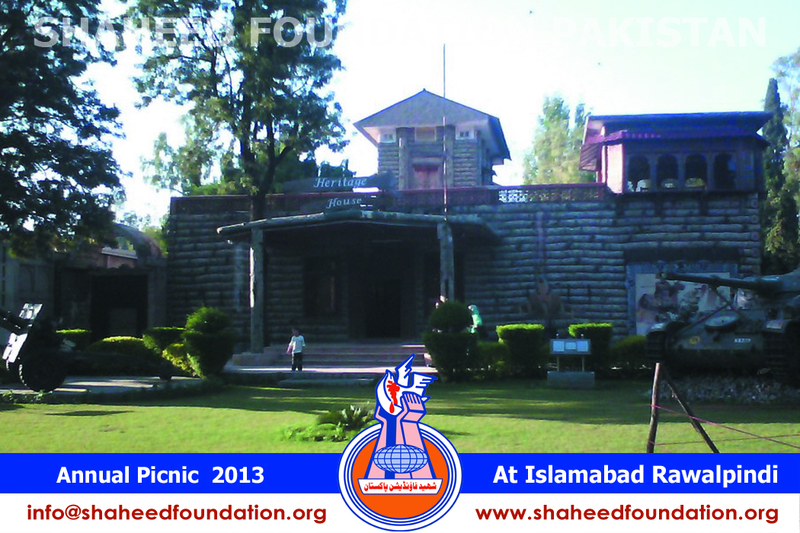 The monument has structure depicting the culture of all the four provinces of Pakistan and a museum houses several unique items showcased. 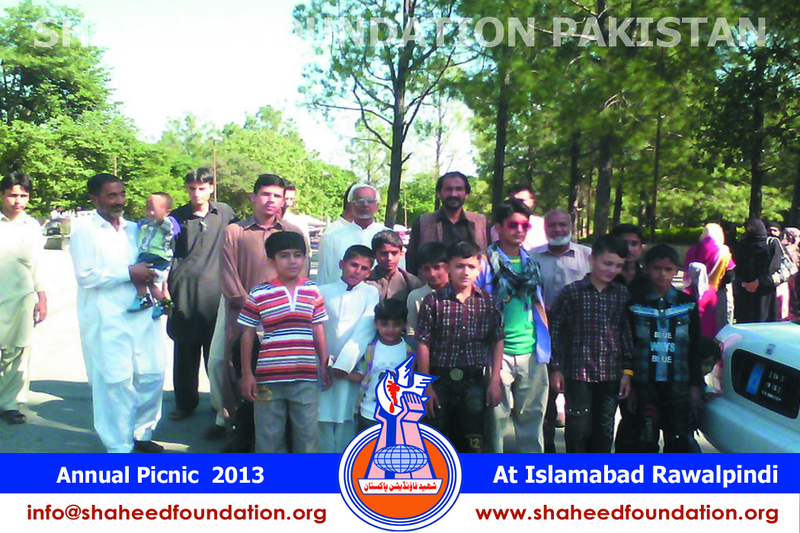 The children and families of martyrs tremendously enjoyed the stay at the place . 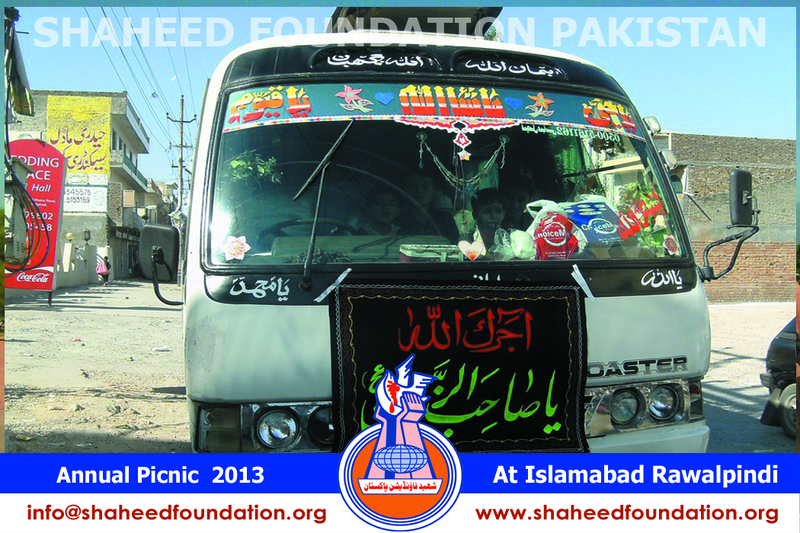 After refreshments , the caravan was ready aboard the bus for destination next . 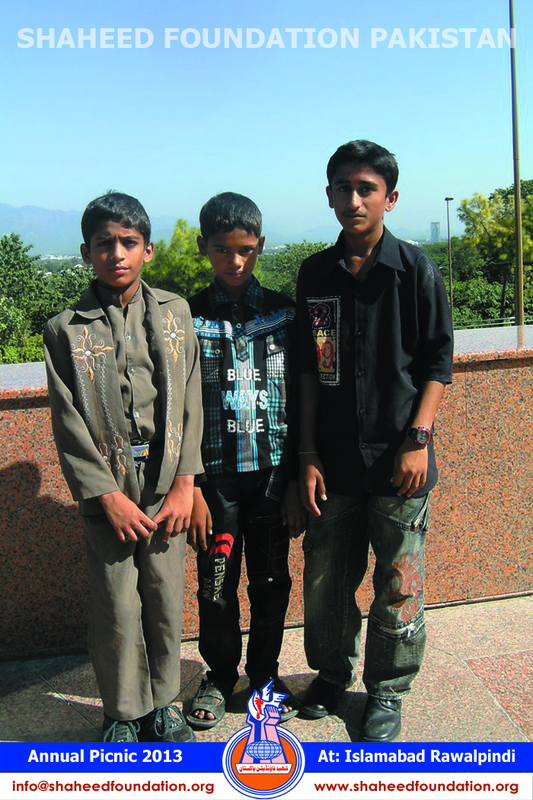 - Daaman-e-Koh. 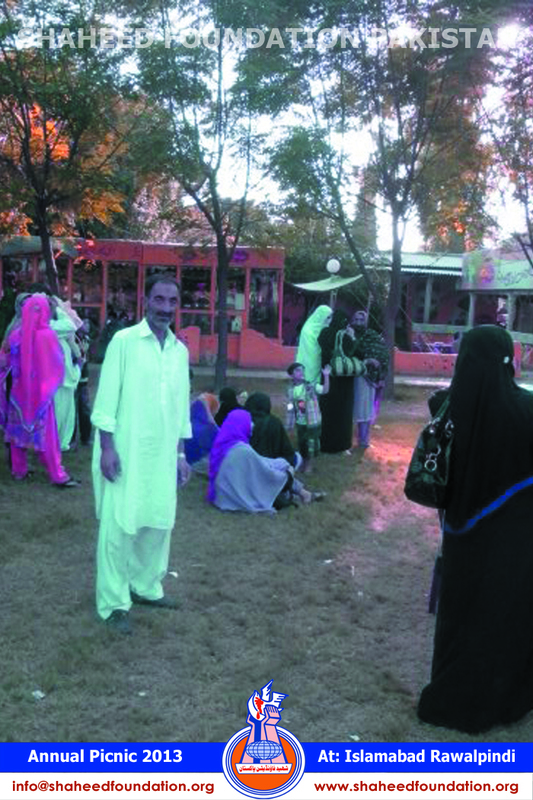 As the name depicts Daaman-e-Koh , is a lovely recreational point and is surrounded in cliffs , here since due to a national holiday ,the number of tourists were too much ,the local administration had put a bar of heavy vehicular traffic uphill to ensure smooth flow of traffic. 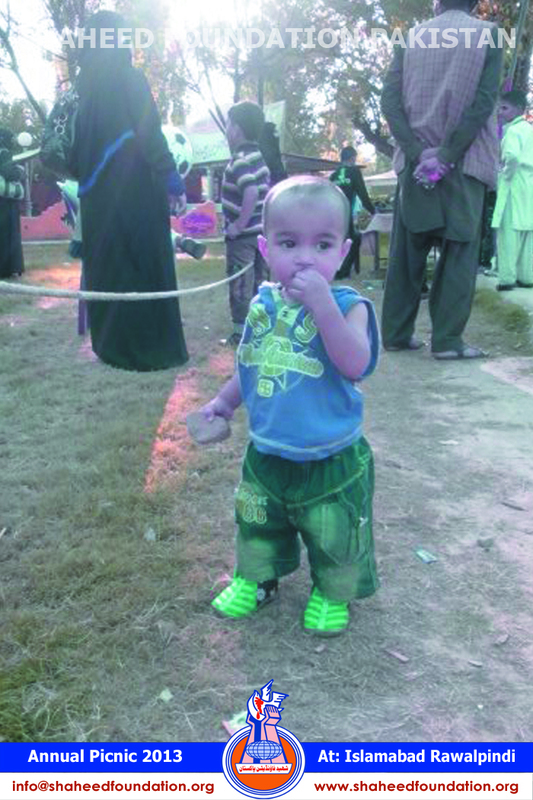 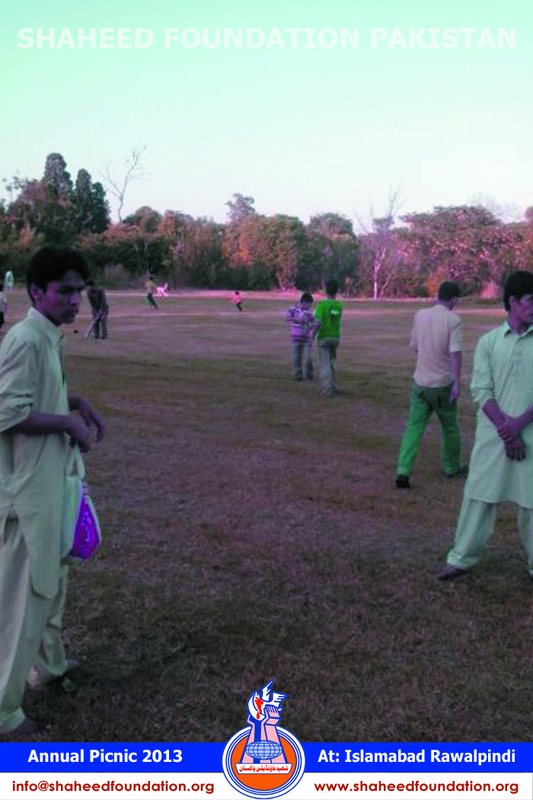 The children and families therefore visited only the popular meadows of Daaman-e-Koh and were fascinated by different species of flora and fauna there . 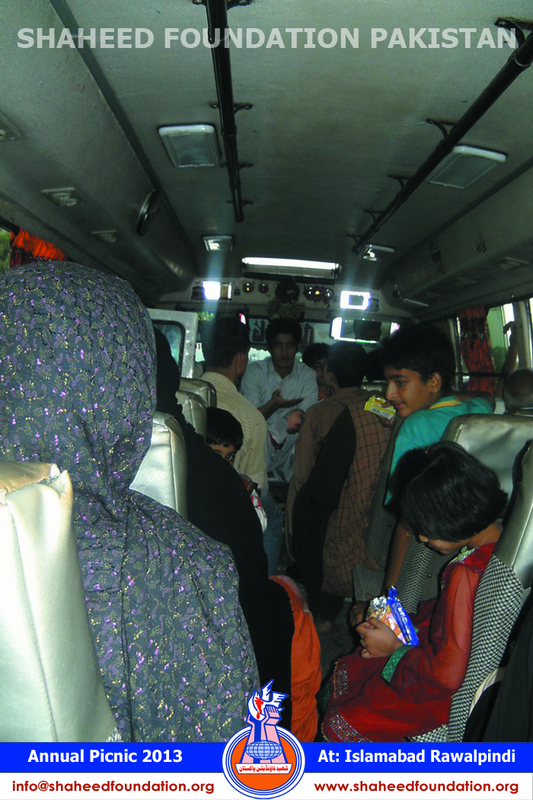 Nearly at 1pm the caravan left daaman-e-koh. 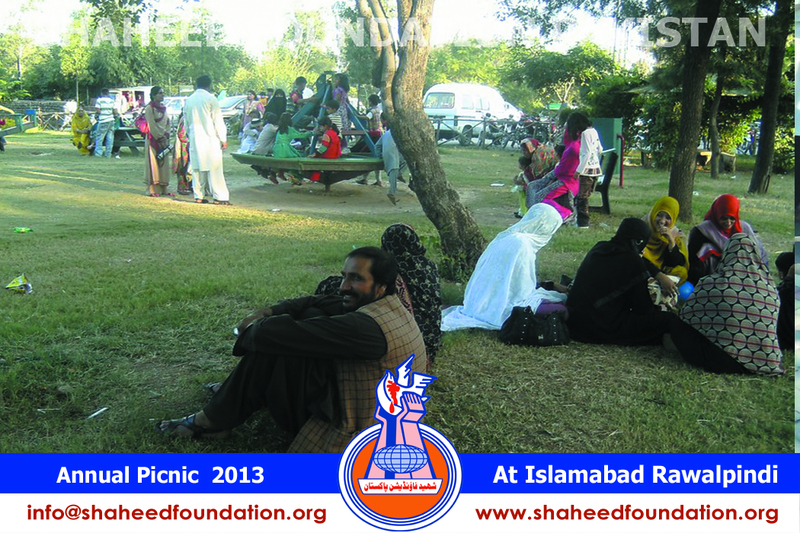 The next stop in the trip was the famous Ayub Park in Rawalpindi . 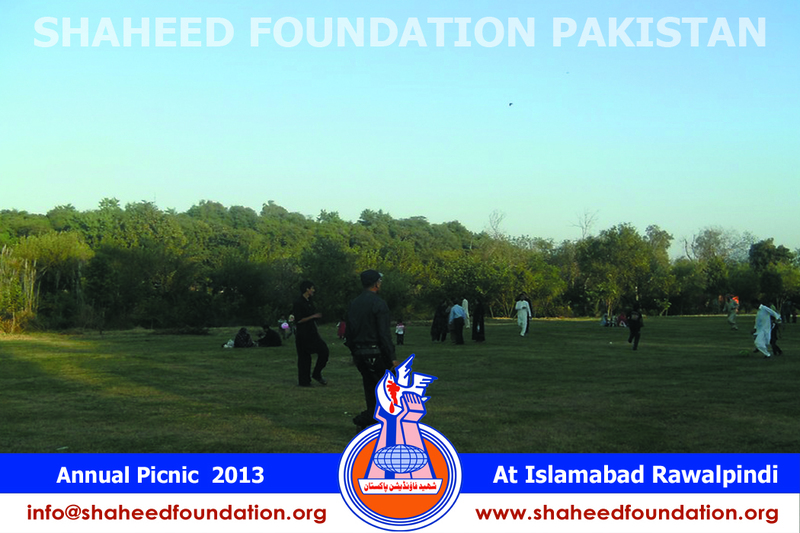 This is quite a huge park and is a very good place for recreation in Rawalpindi . 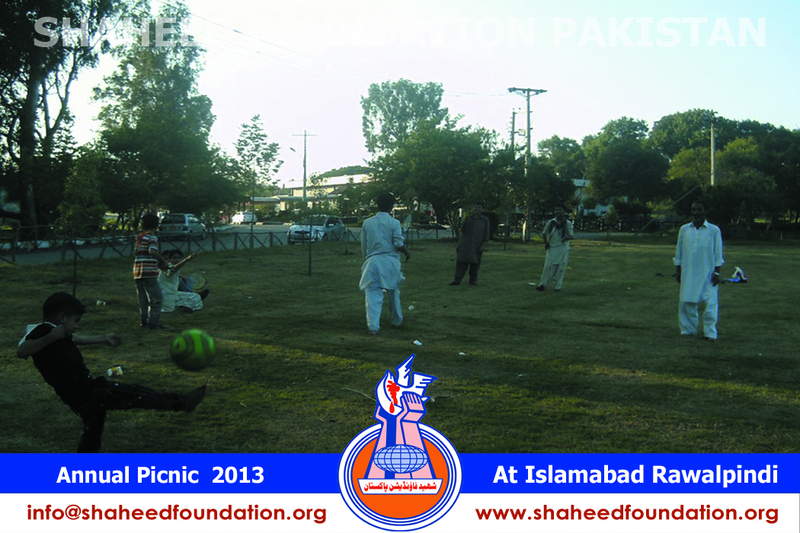 Namaz-e-Zohrain was offered here and later children got busy playing cricket and badminton . 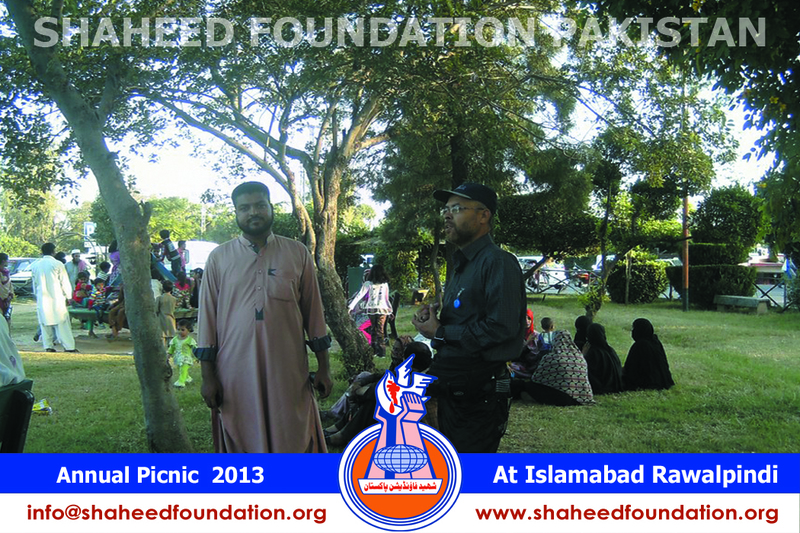 The elderlies preferred to sit under the shades of tree and enjoyed gossiping . 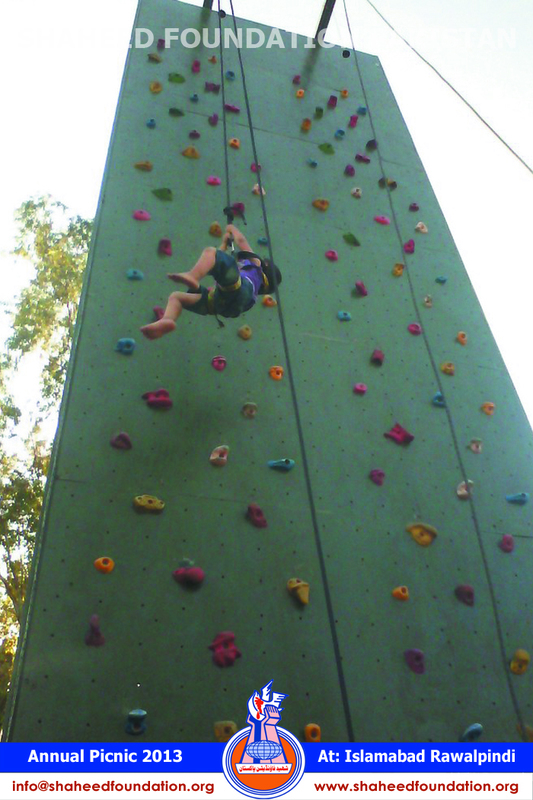 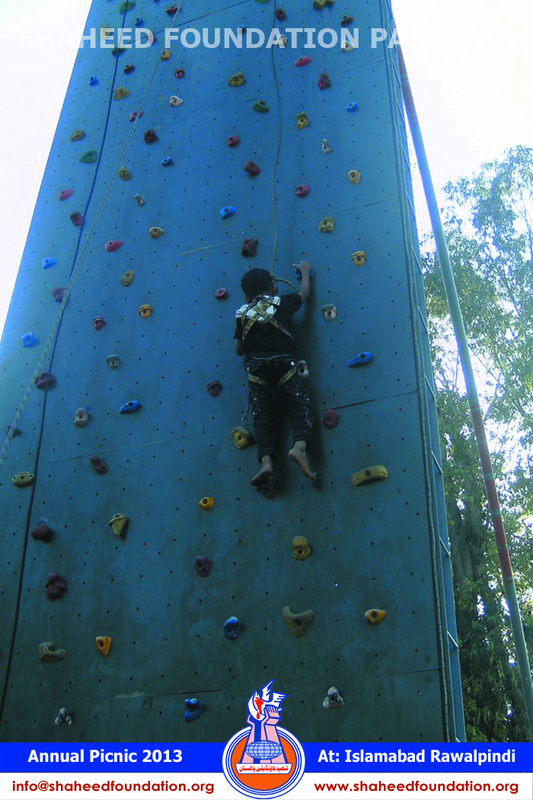 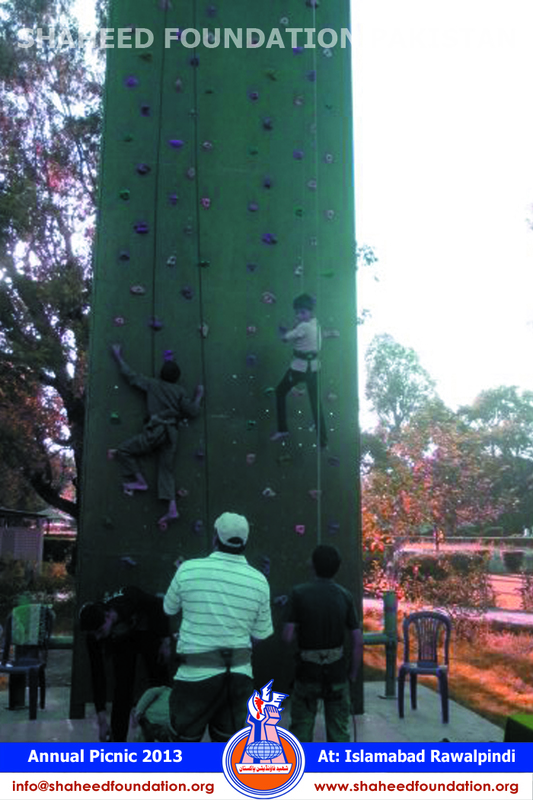 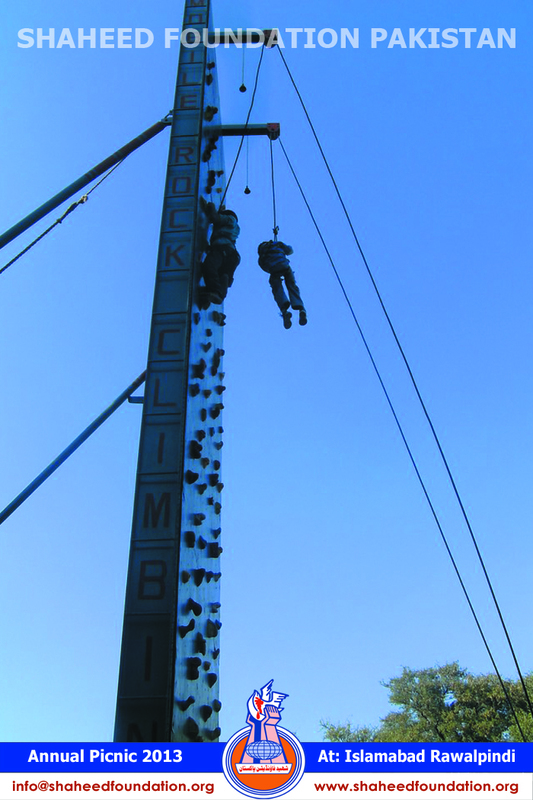 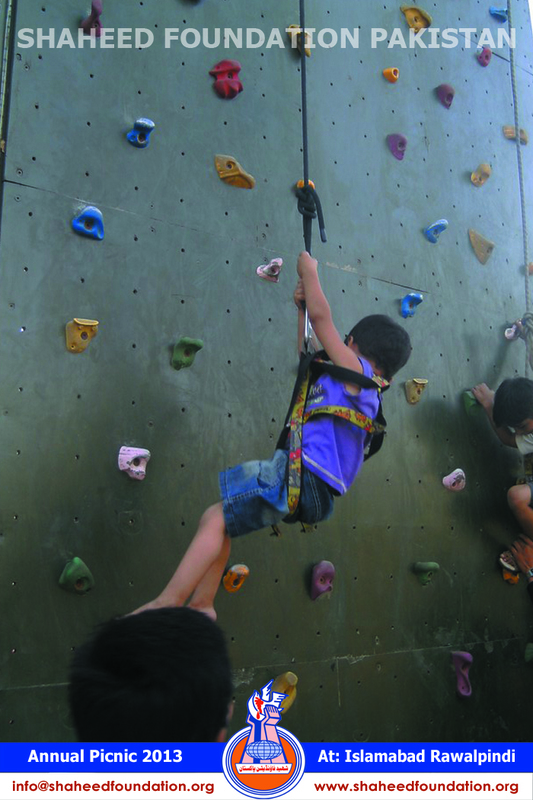 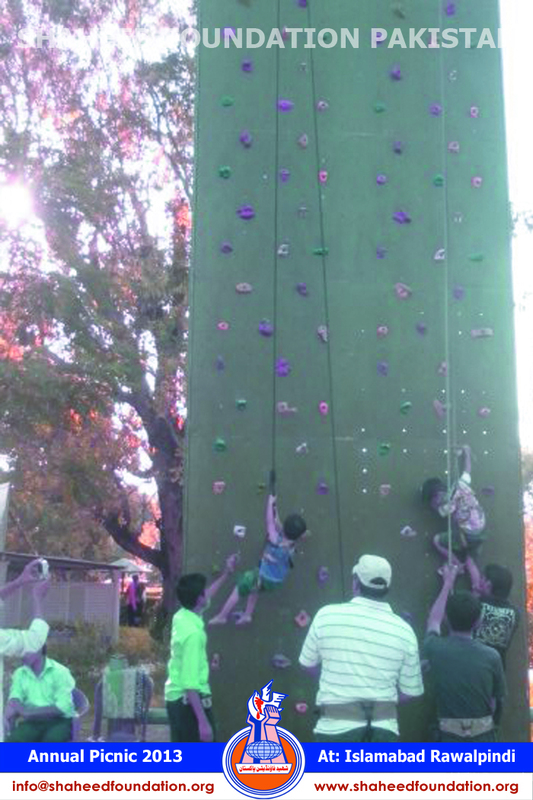 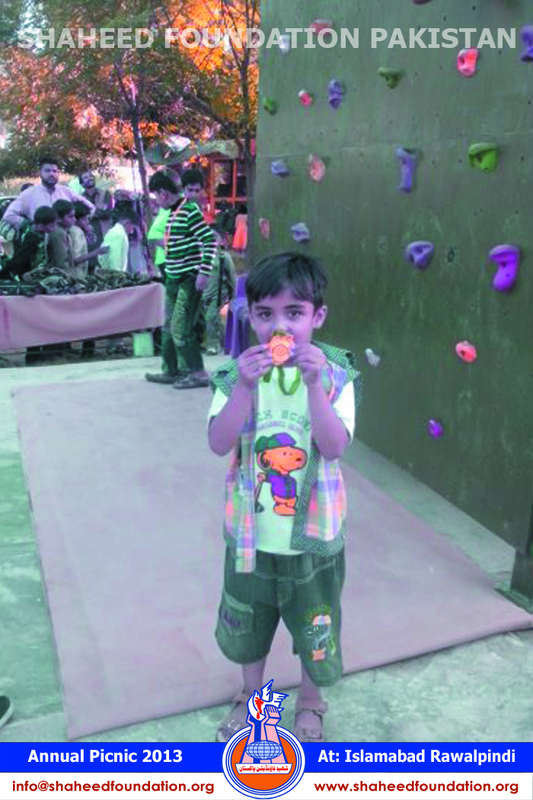 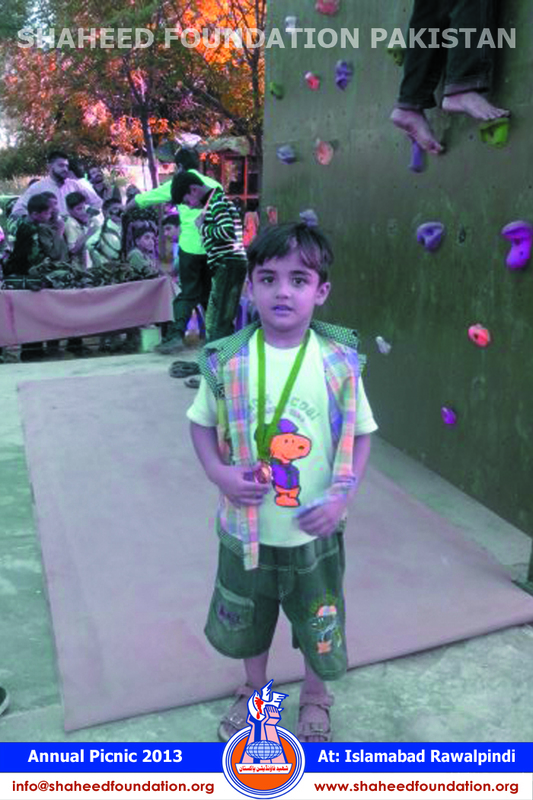 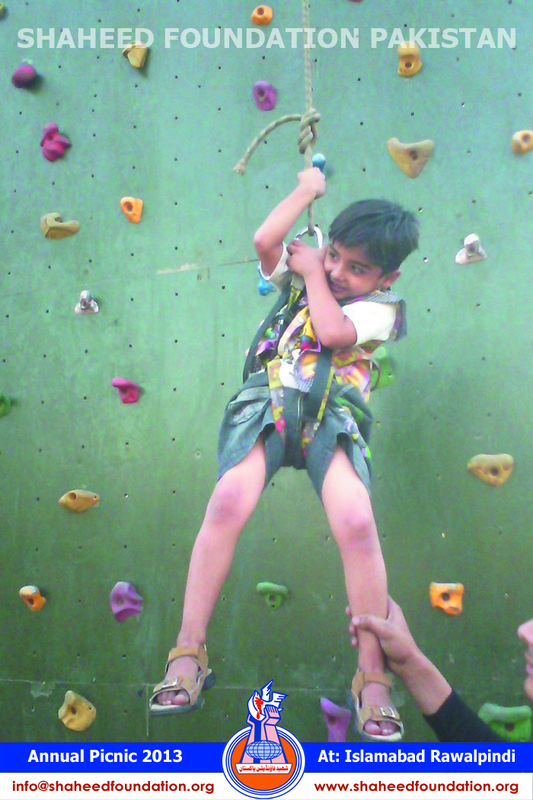 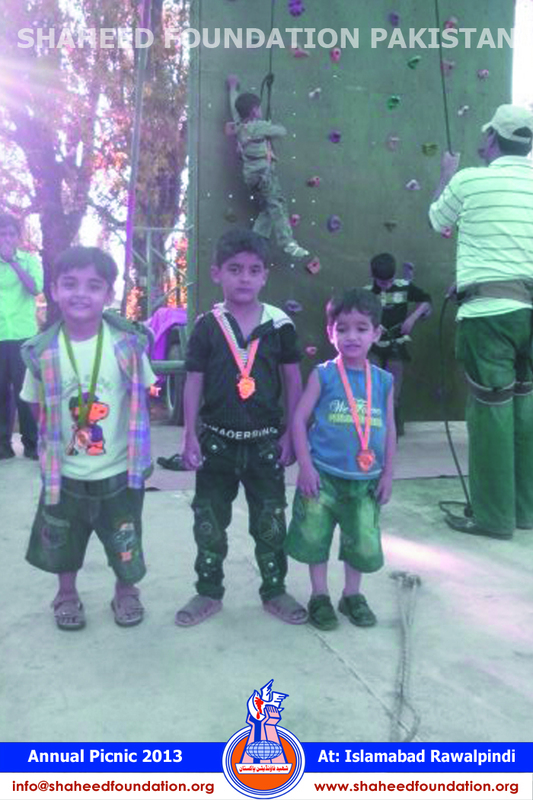 Children also enjoyed rope climbing and other such healthy activities. 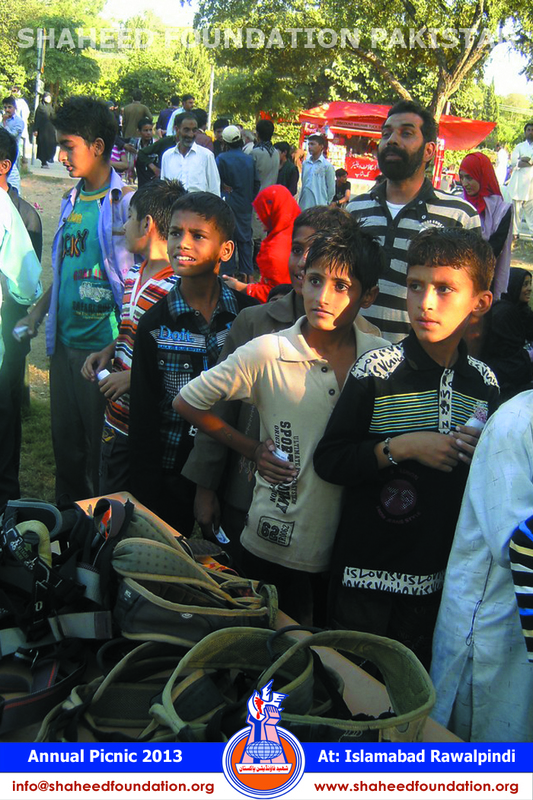 At around maghrib everyone begun to pack up and the caravan began its journey back to homes . 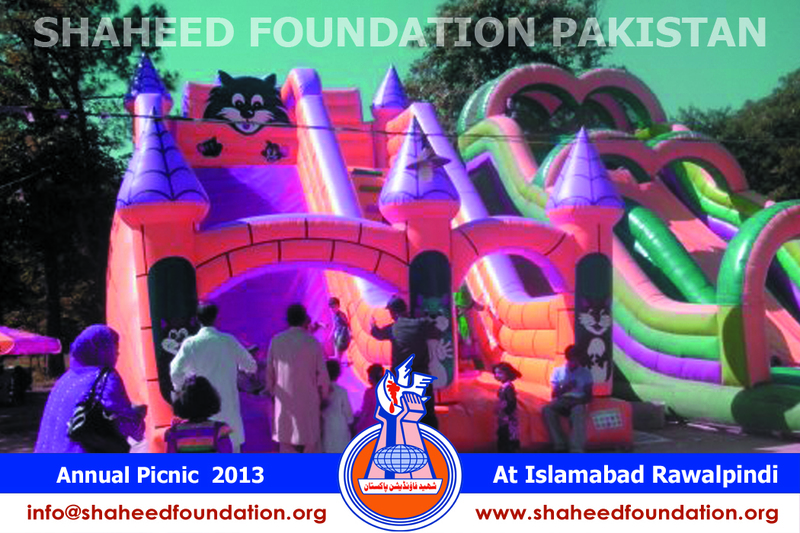 Shaheed Foundation Pakistan's Central Committee wholeheartedly and humbly thanks Khanwada-e-Shohada for their accepting the invitation for this event and fully endorsing the efforts of brothers . 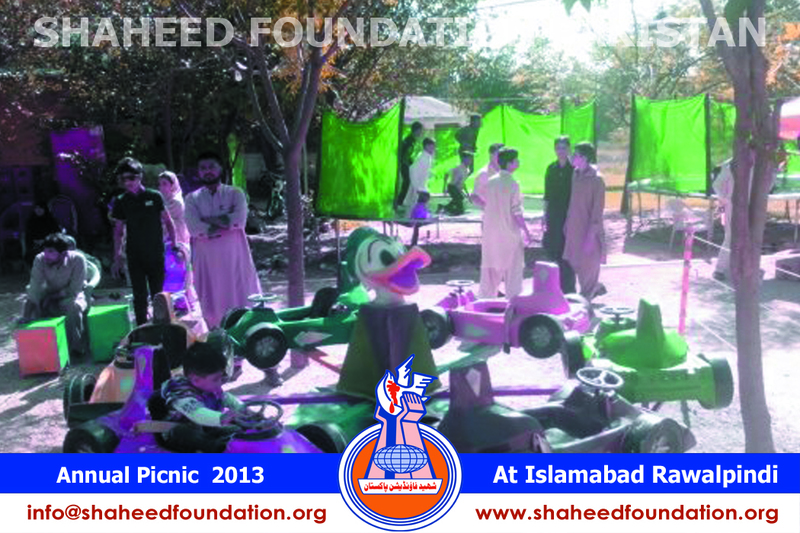 Central Committee also deeply appreciates the efforts of working brothers of Rawalpindi and Islamabad region for putting in lots of efforts for undertaking this event so painstakingly and making it a unique example in itself . 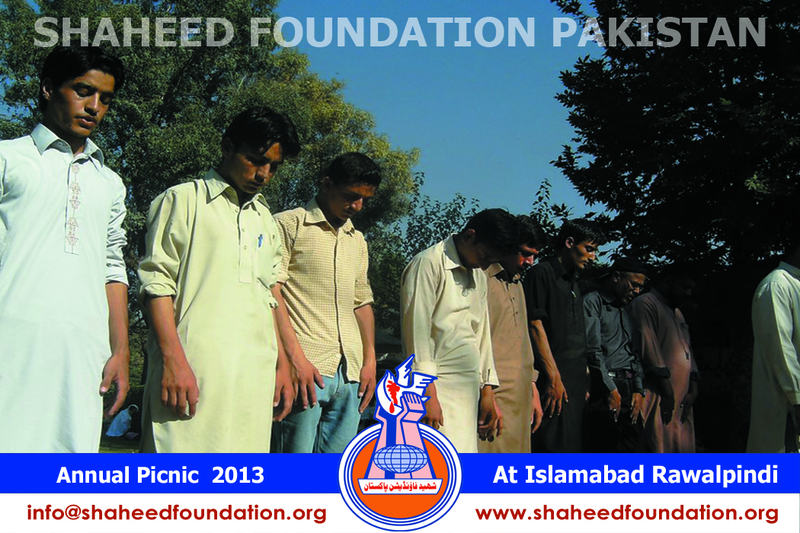 It is wished and prayed that Maula Imam-e-Zamana [atfs] accept our humble and imperfect efforts and give us courage ,strength and resilience to persevere on the path of righteousness with all our might ,till our last breaths.